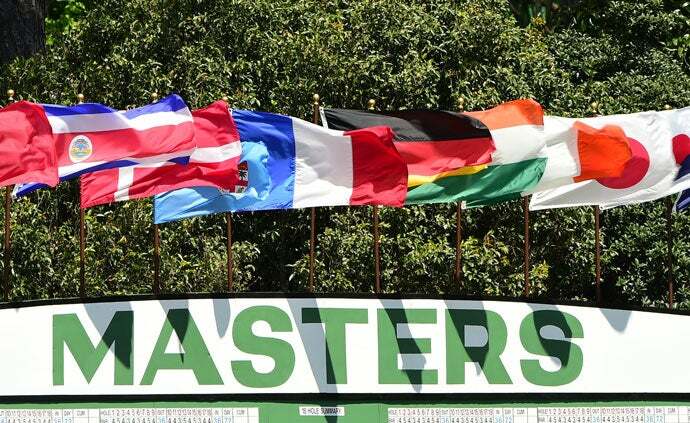 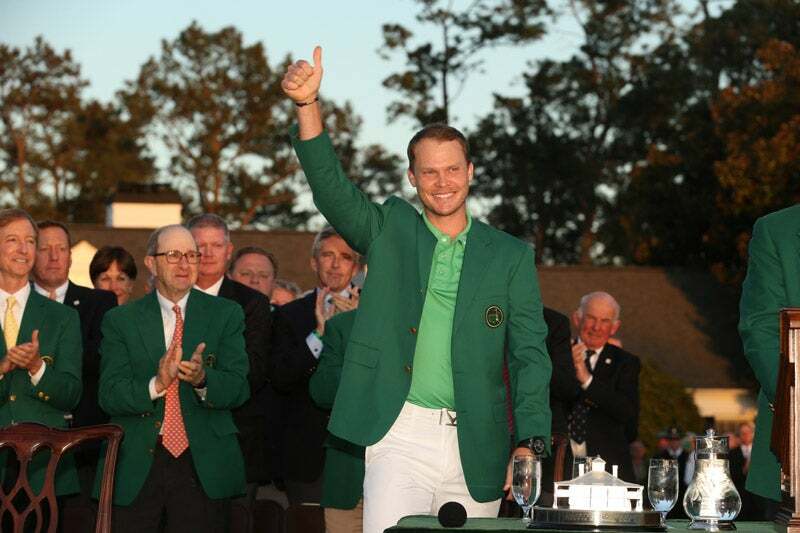 Englishman Danny Willett won the 2016 Masters after Jordan Spieth gave up the lead on the back nine. 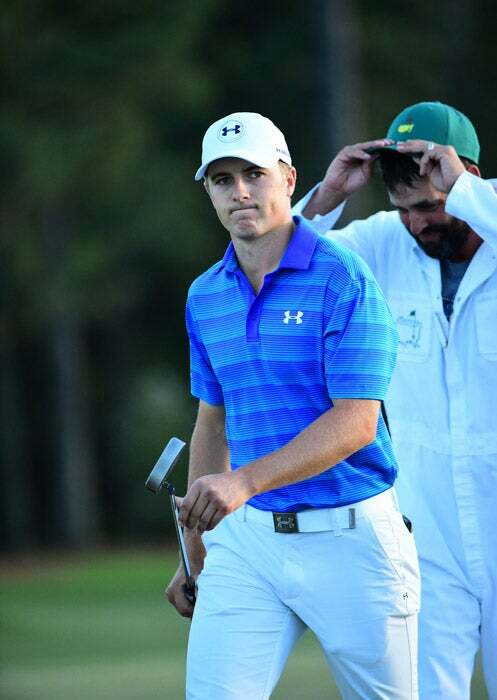 Spieth lost the lead after a disastrous quadruple bogey on the 12th hole when he hit two shots into the water. 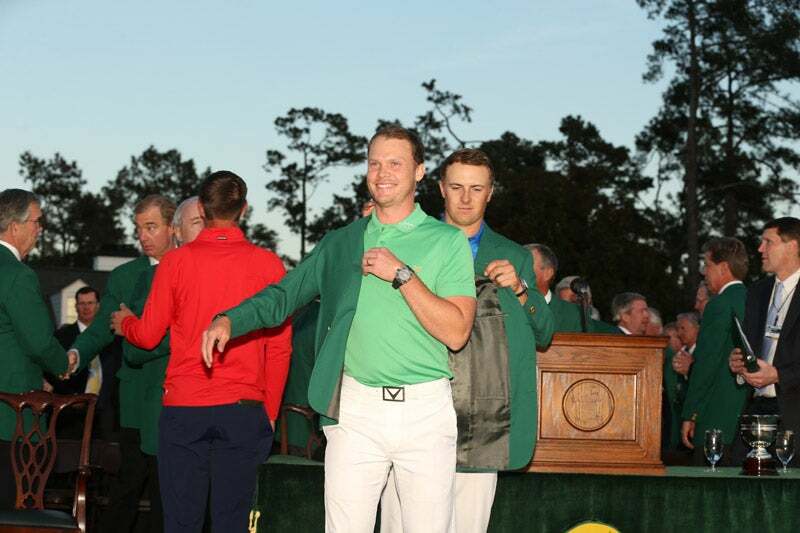 Spieth walks to the green jacket ceremony following the final round. 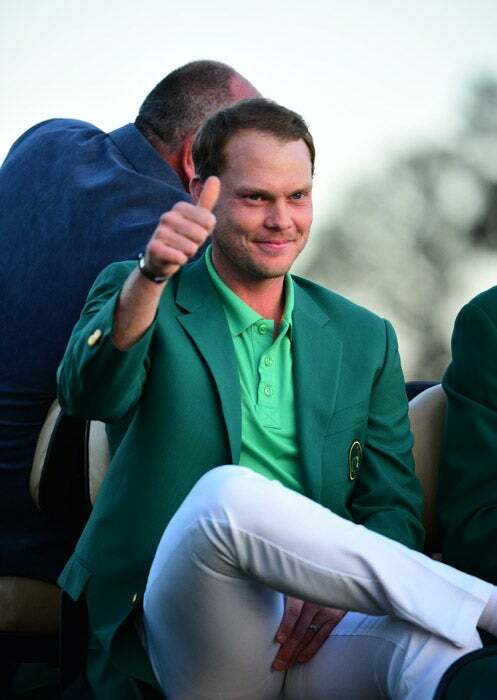 Spieth, last year's Masters champion, puts the green jacket on Willett. 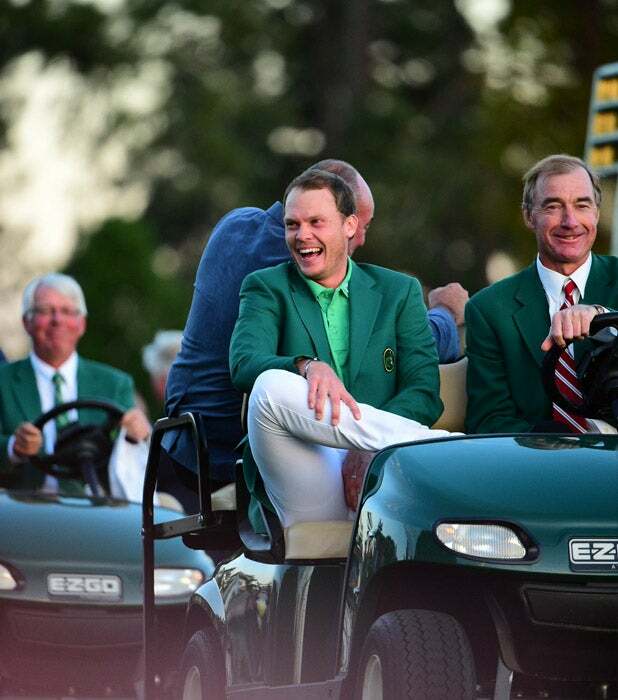 Willett being driven to the green jacket ceremony. 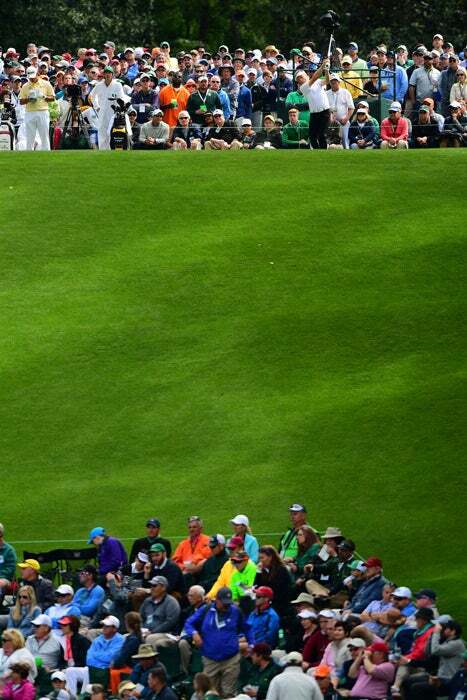 Rory McIlroy during the final round. 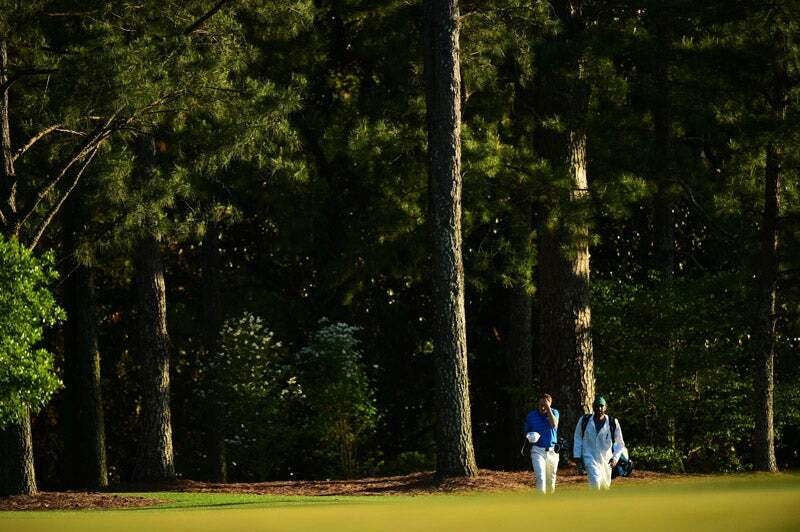 The dejected duo of Spieth and Greller walk up the 18th fairway on Sunday. 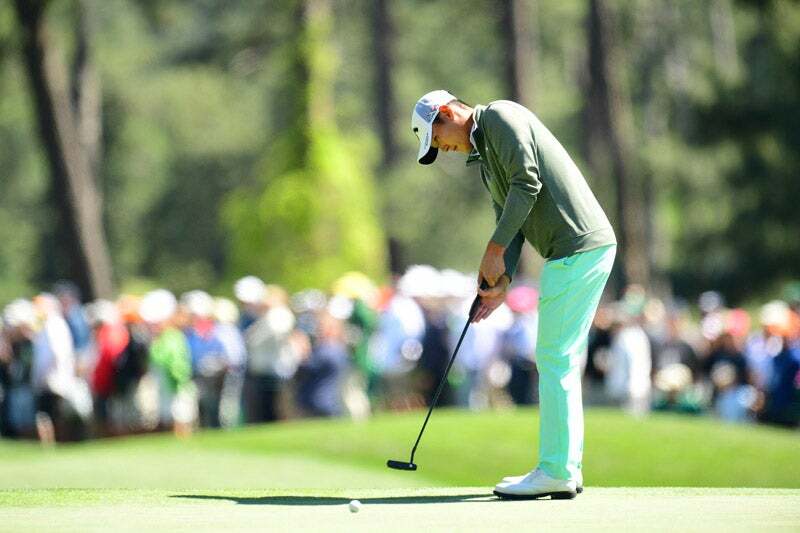 Willett makes a putt on the back nine Sunday. 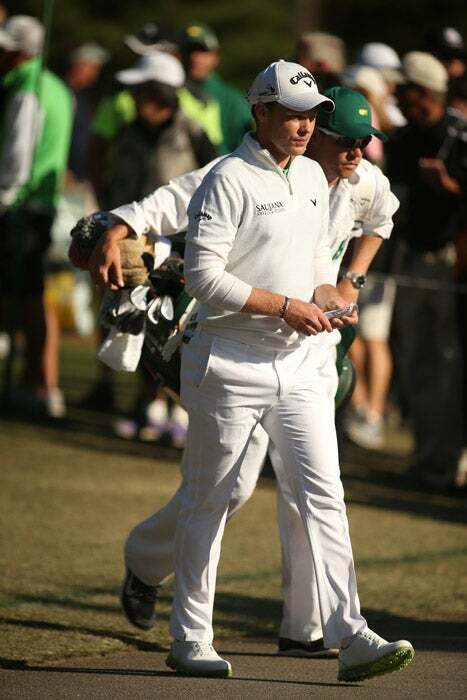 Willett before the end of Sunday's final round. 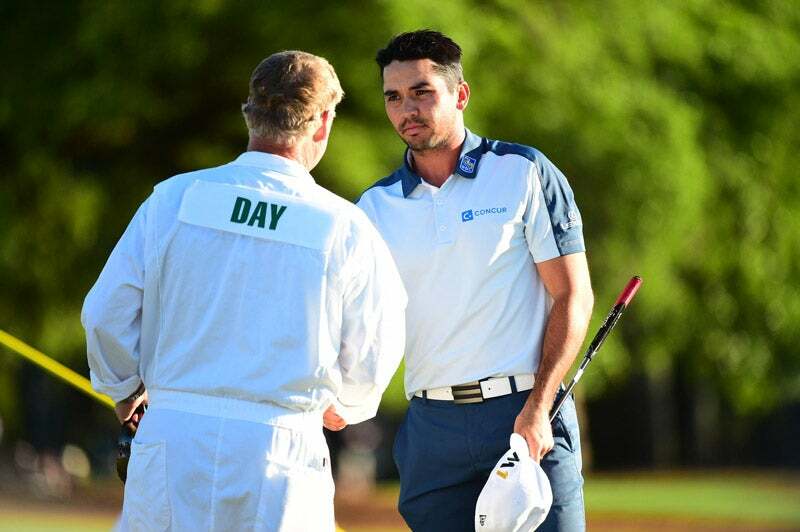 Day shakes hands with his caddie on the 18th green Sunday after a disappointing finish. 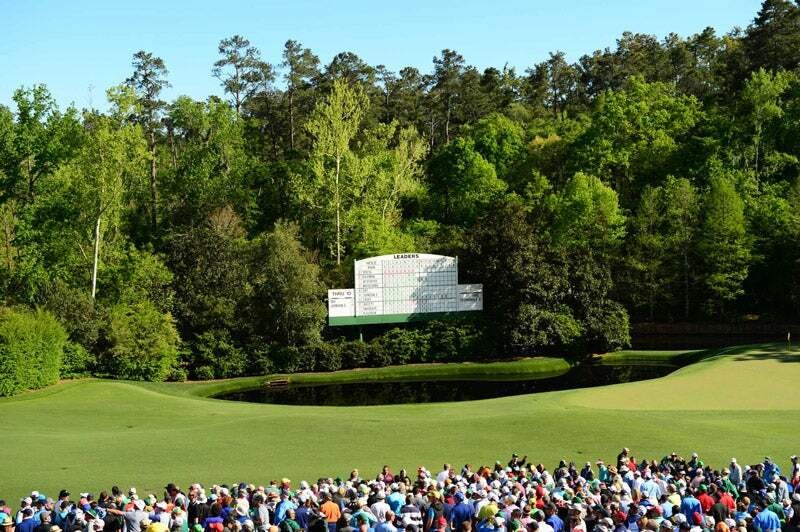 The iconic par-3 12th hole on Sunday. 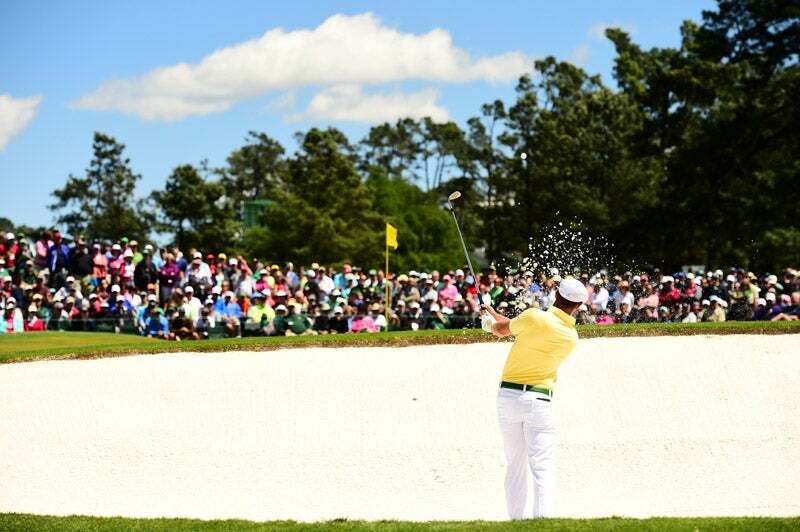 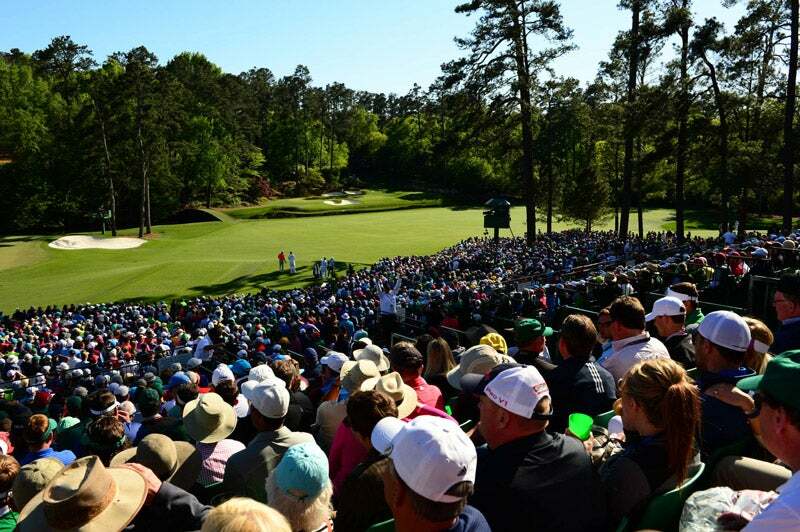 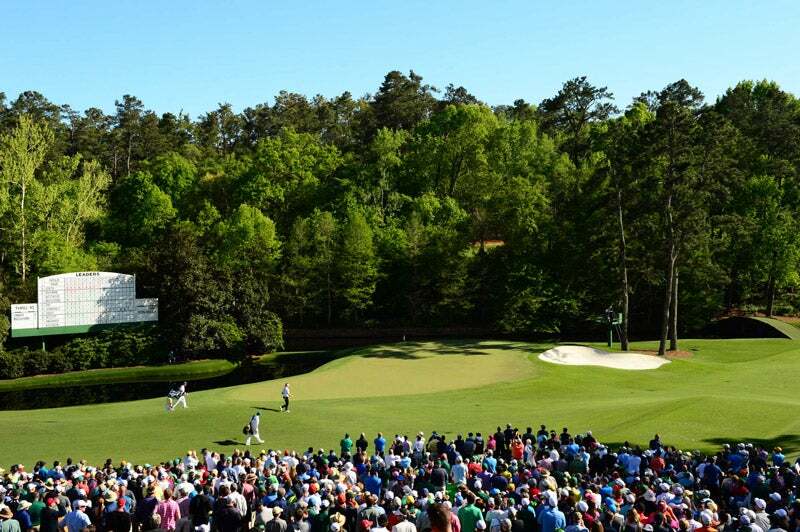 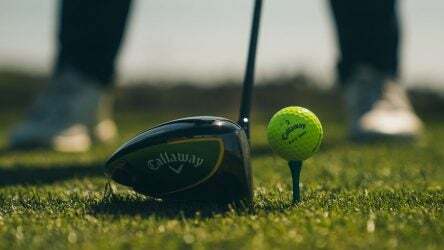 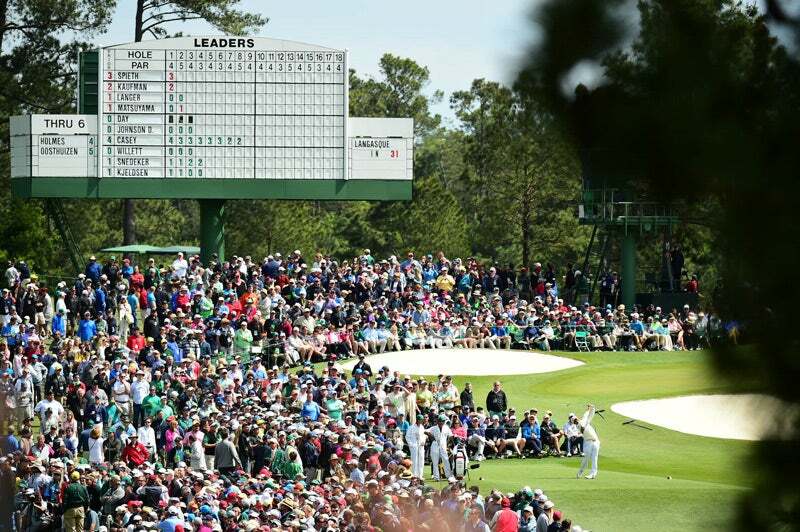 Danny Willett hits a tee shot during the final round of the Masters. 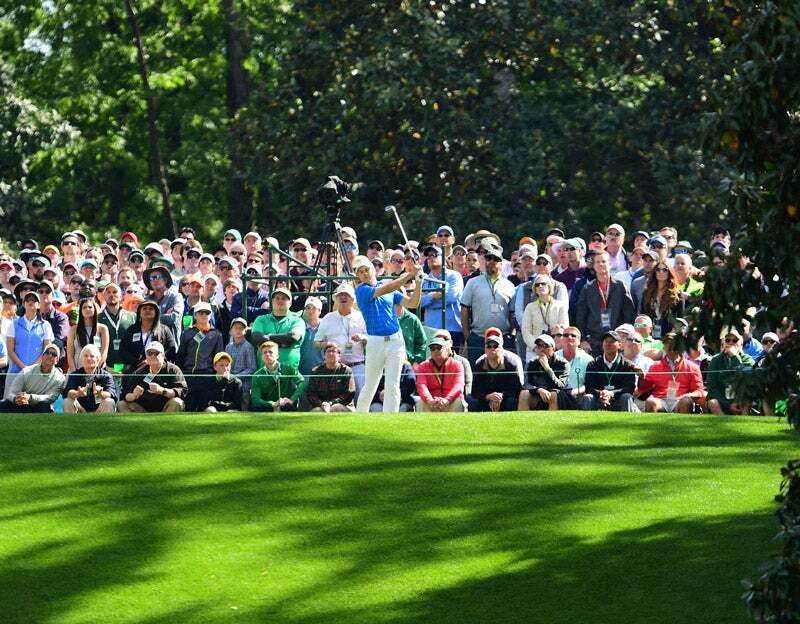 Spieth watches a shot during the final round at Augusta National. 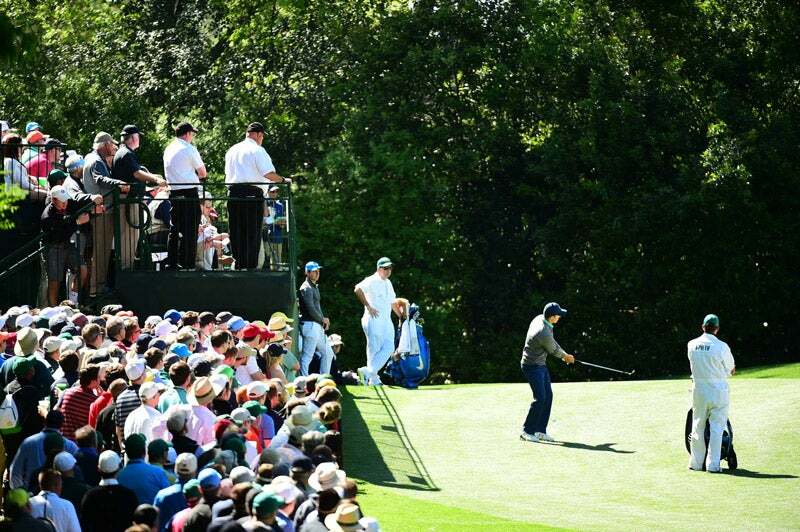 Spieth hits from the fairway as caddie Michael Greller looks on. 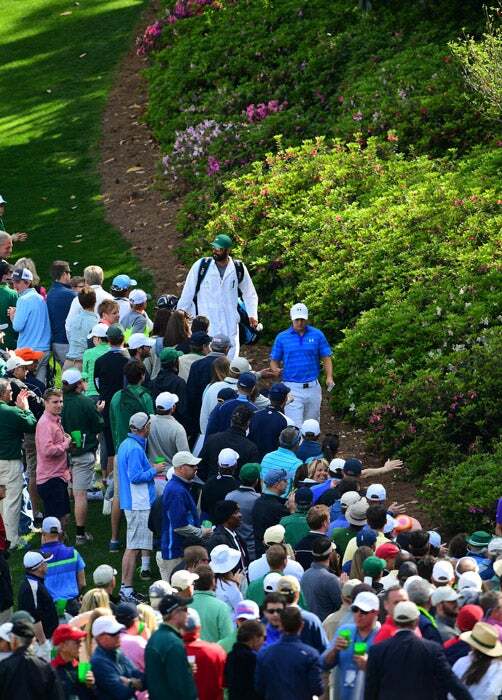 Spieth interacts with fans while walking between holes on Sunday. 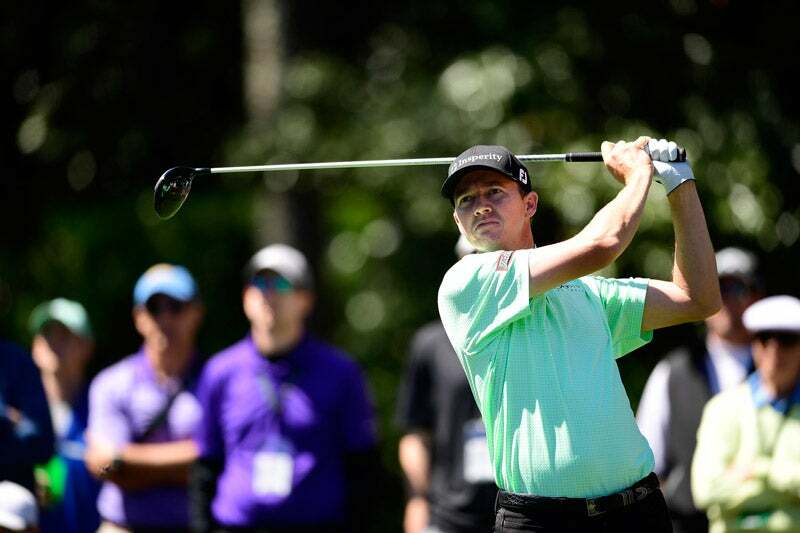 Smylie Kaufman was unable to keep up with the leaders on Sunday. 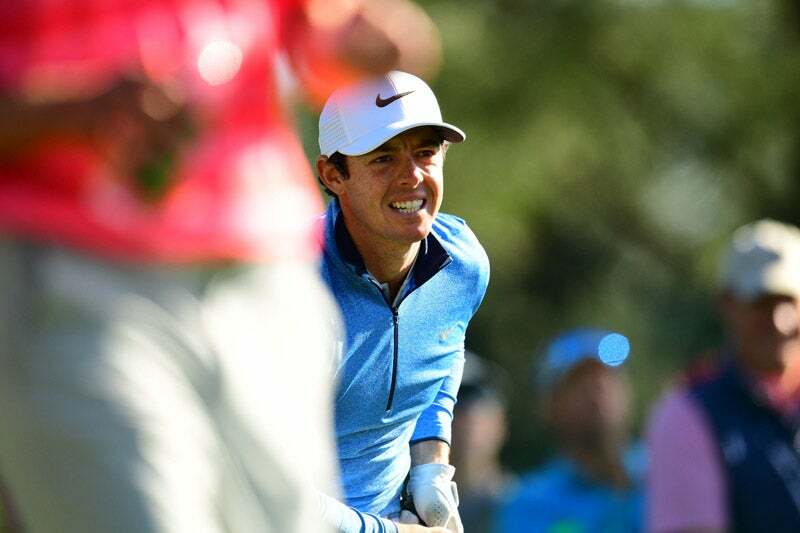 Despite his past struggles, players are bullish on Rory McIlory's chances of claiming a green jacket sometime in the future. 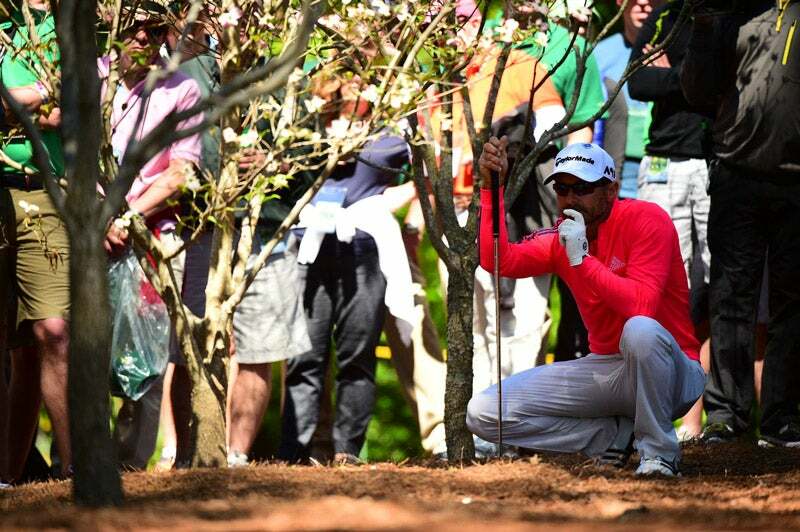 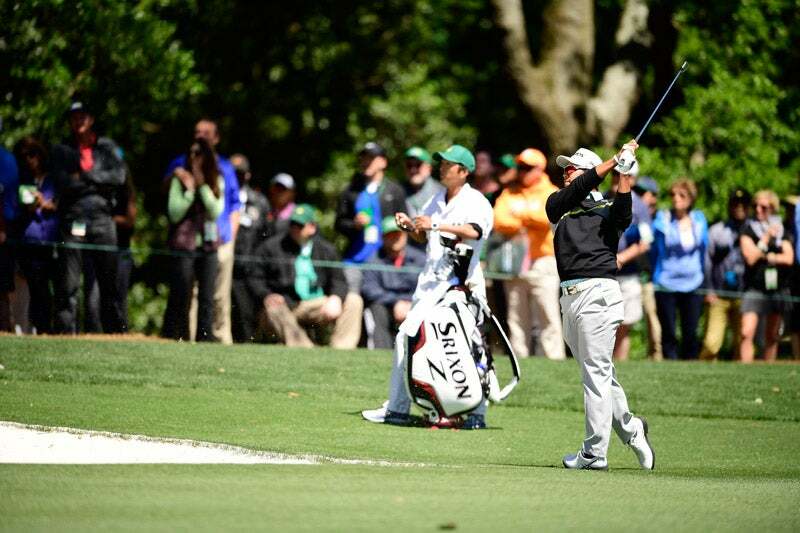 Hideki Matsuyama had another strong Masters performance. 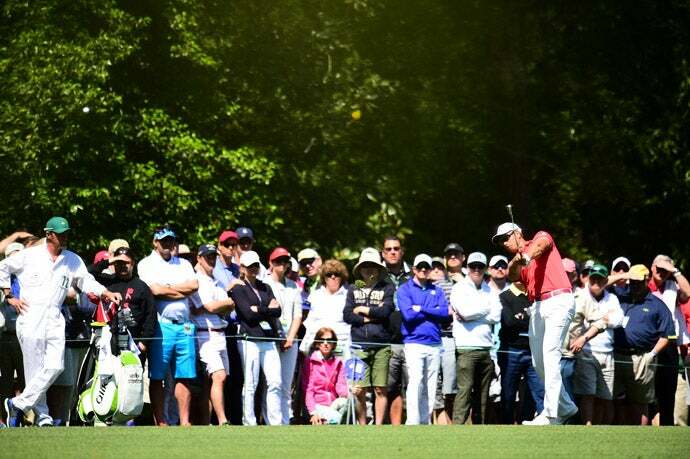 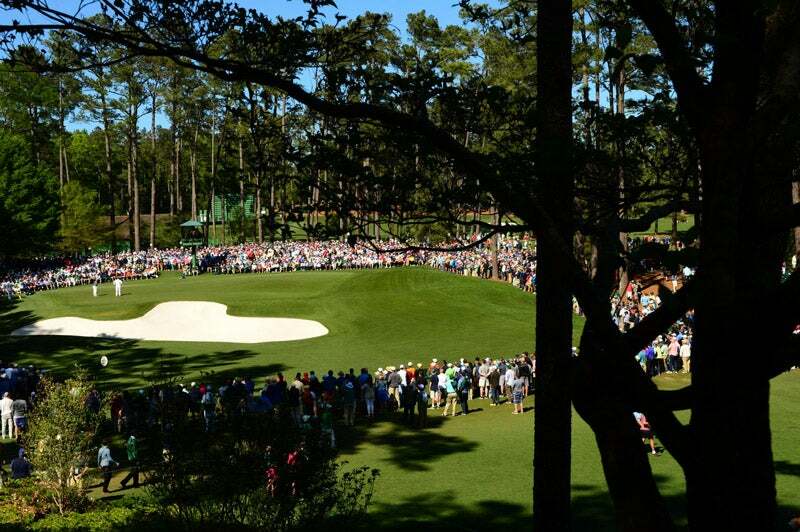 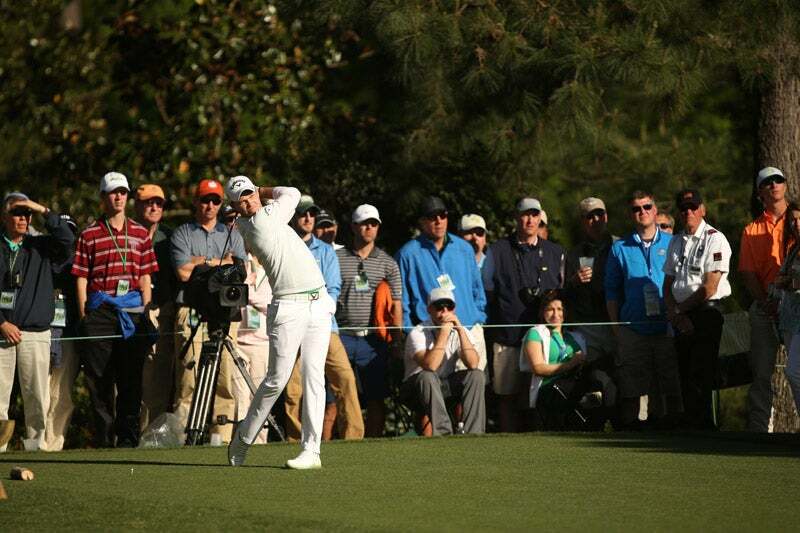 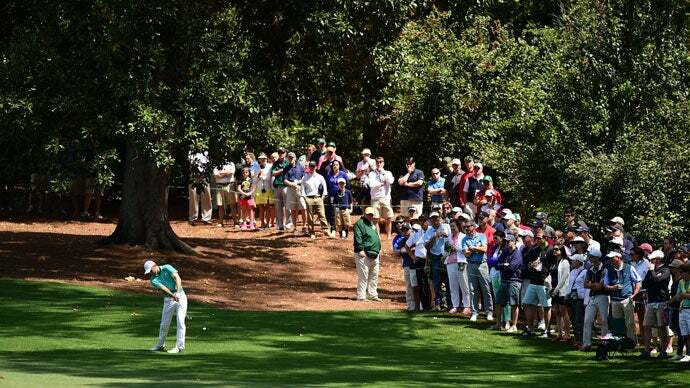 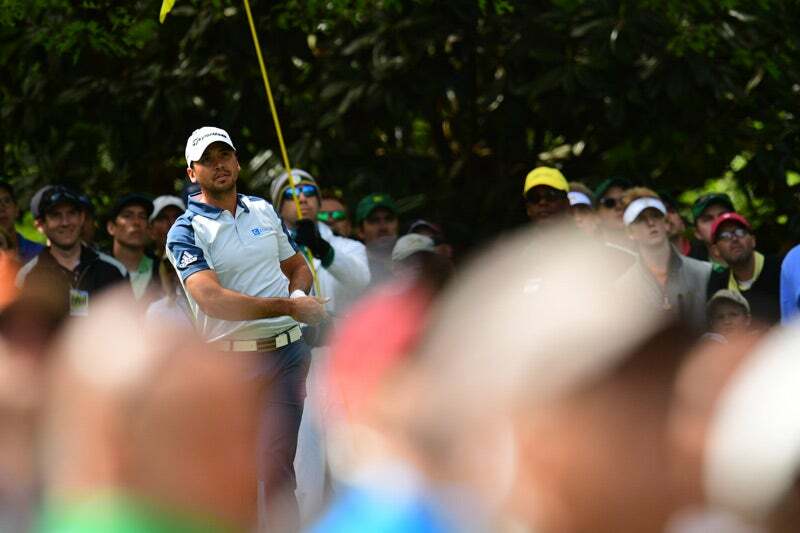 Jason Day hits a tee shot on Sunday at the Masters. 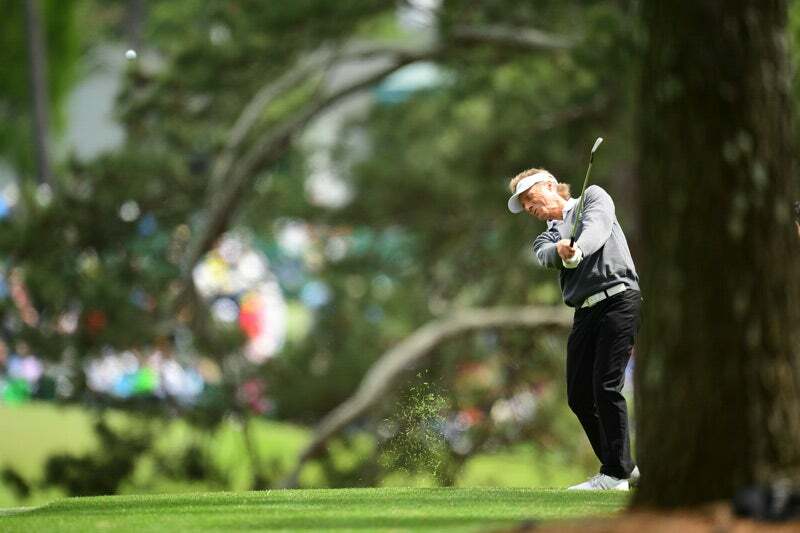 58-year-old Bernhard Langer plays a shot during the final round. 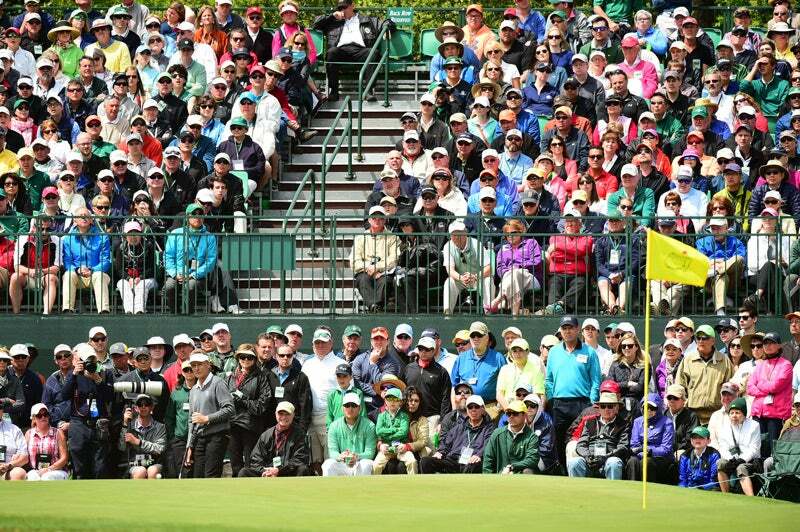 Large crowds filled the stands on Sunday. 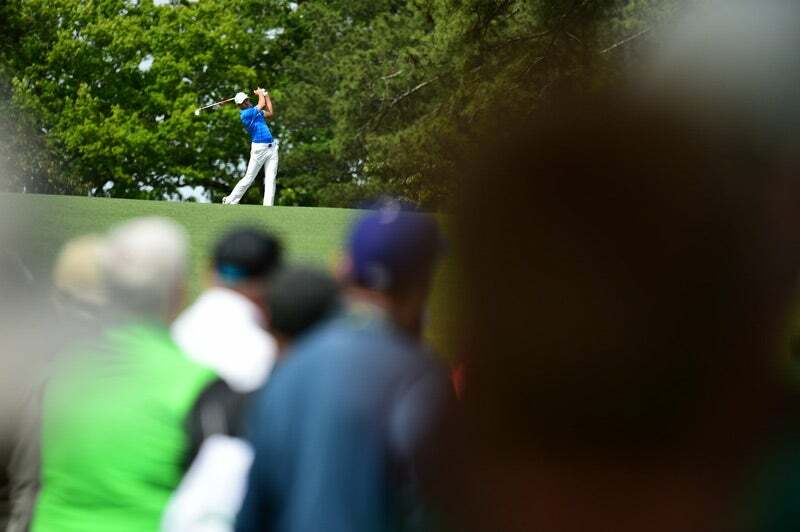 Langer teeing off with spectators watching from below. 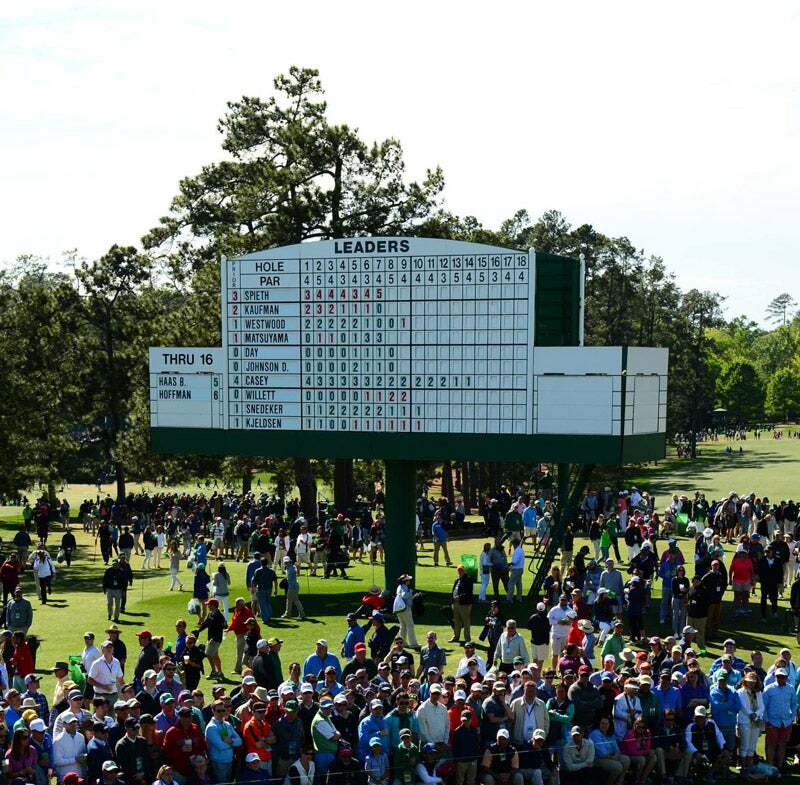 A leaderboard early in the final round. 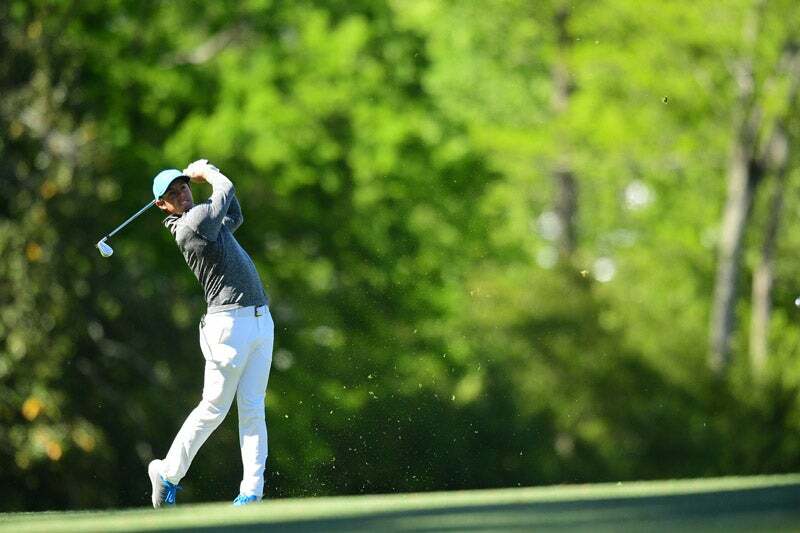 Jordan Spieth started the third round with a one-shot lead over Rory McIlroy. 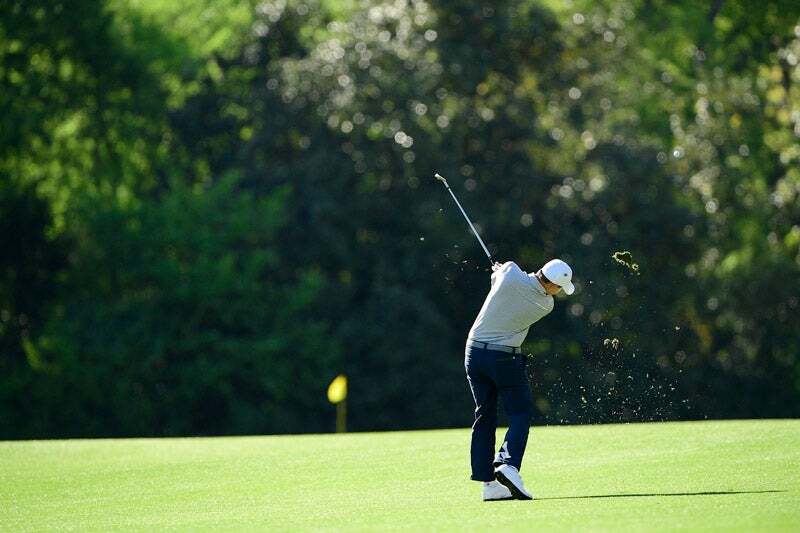 Spieth hitting a chip shot on Saturday. 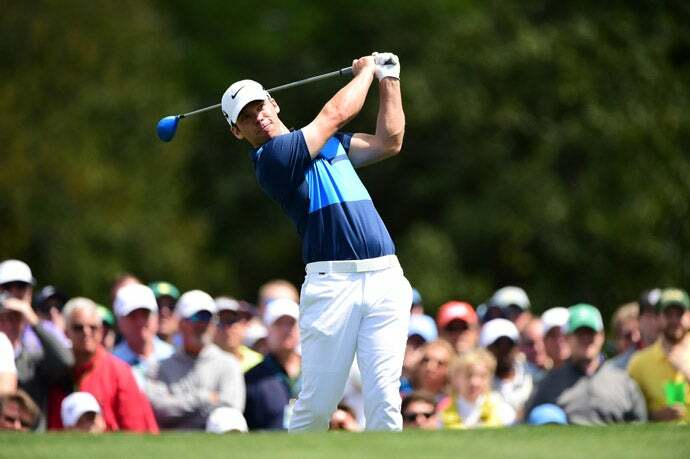 Rory McIlroy had a difficult time on the front nine on Saturday. 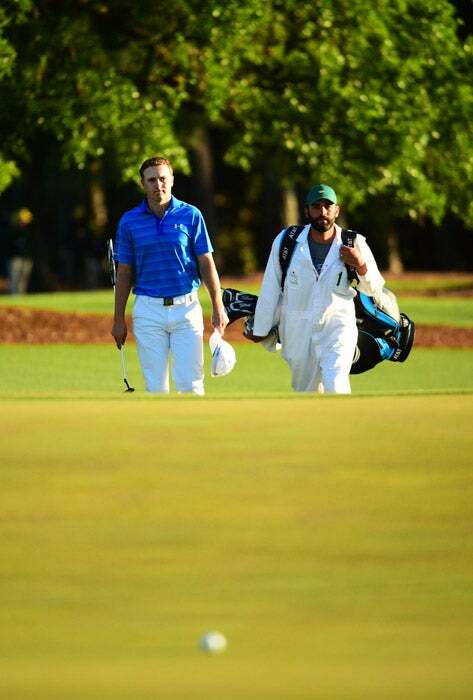 Jordan Spieth with his caddie Michael Greller. 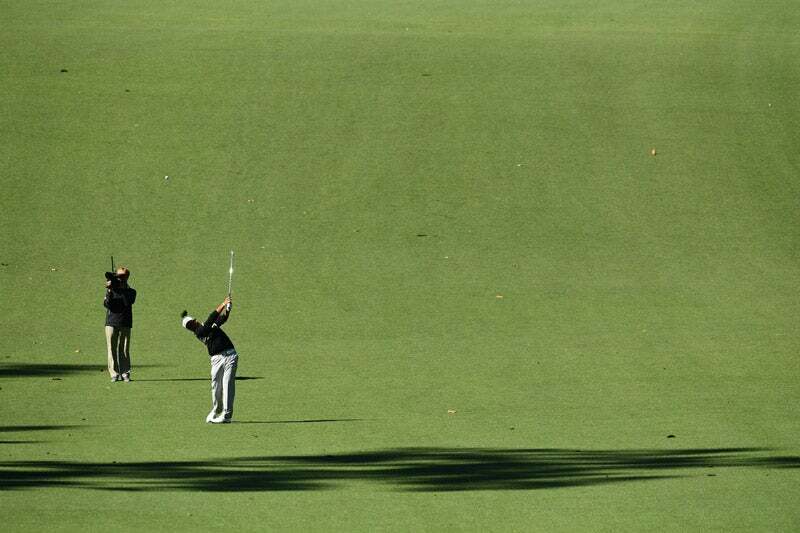 McIlroy during Saturday's third round. 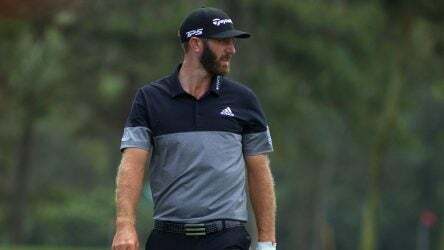 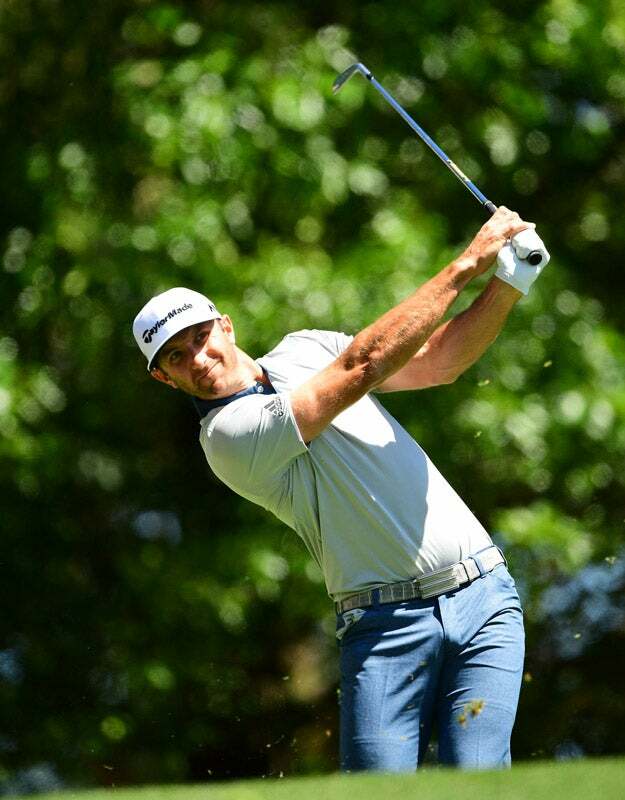 Dustin Johnson had a strong third round on Saturday. 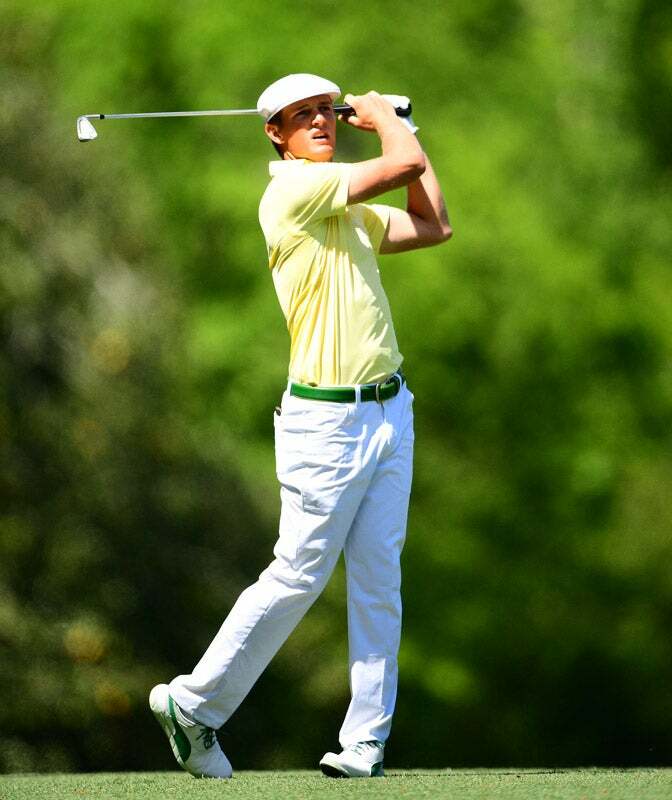 Bryson DeChambeau struggled scoring in the wind on Saturday. 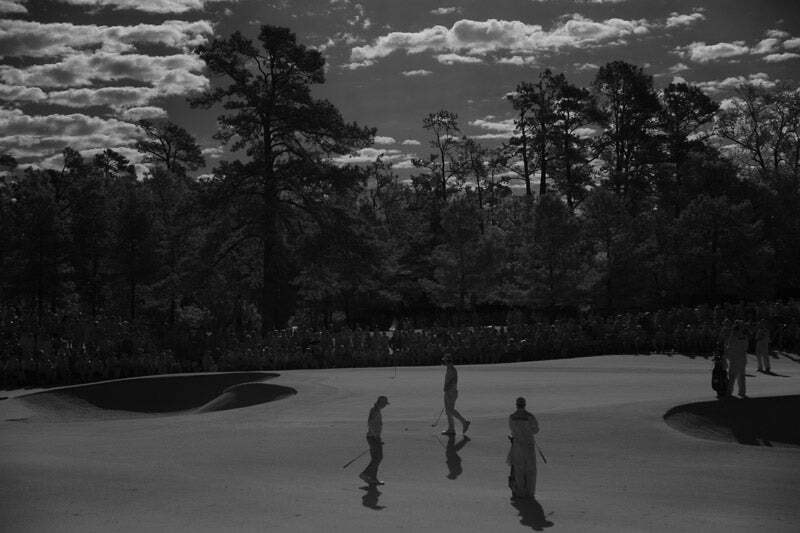 DeChambeau after a bunker shot in the third round. 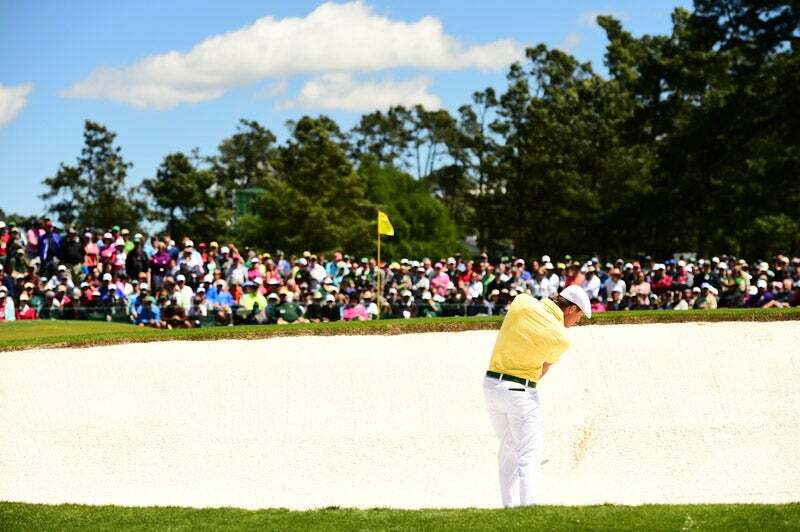 Danny Willett tees off on the seventh hole during round 3. 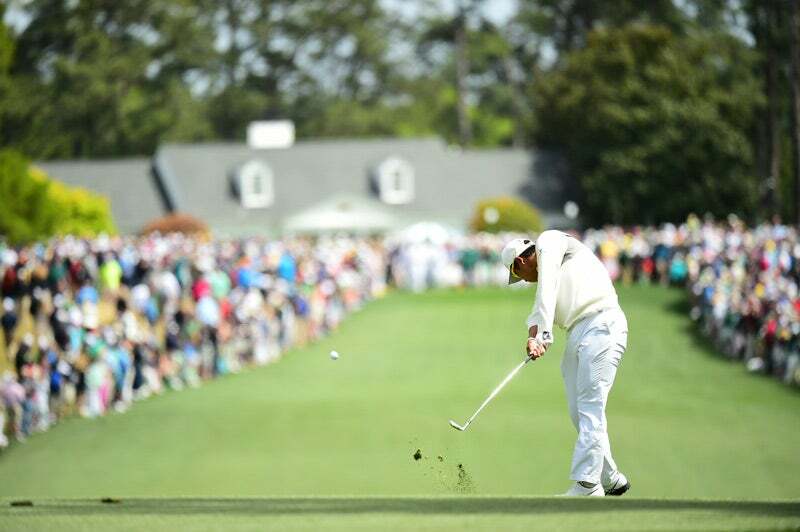 Matsuyama plays a shot during the third round at the Masters. 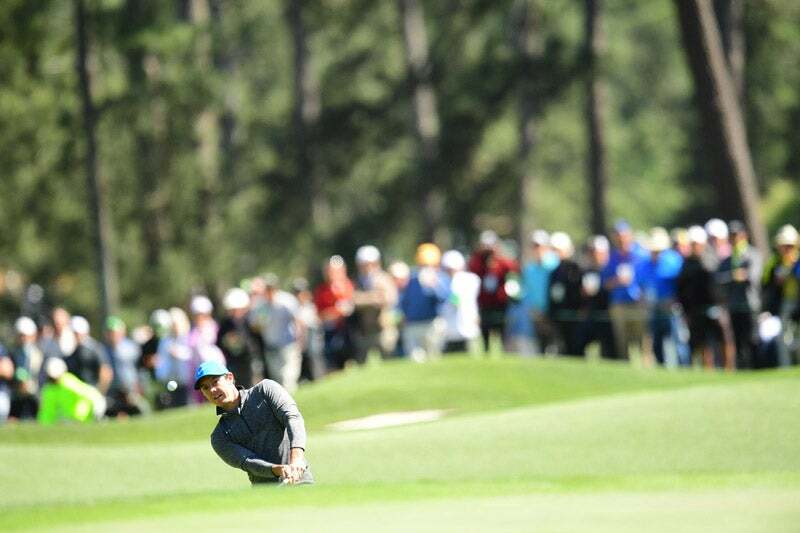 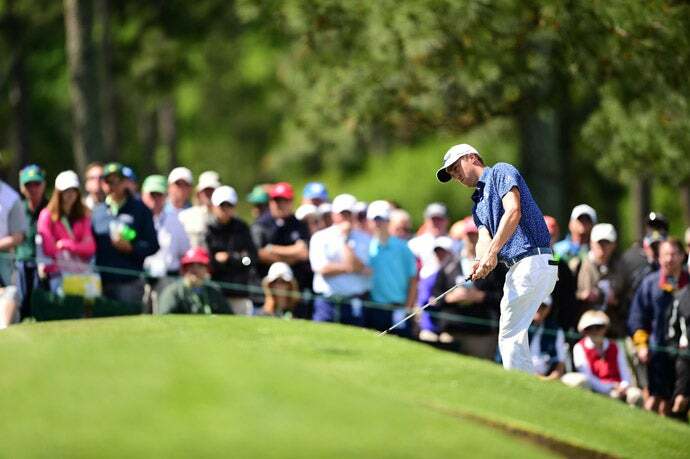 Jimmy Walker went backwards on a tough day at Augusta National. 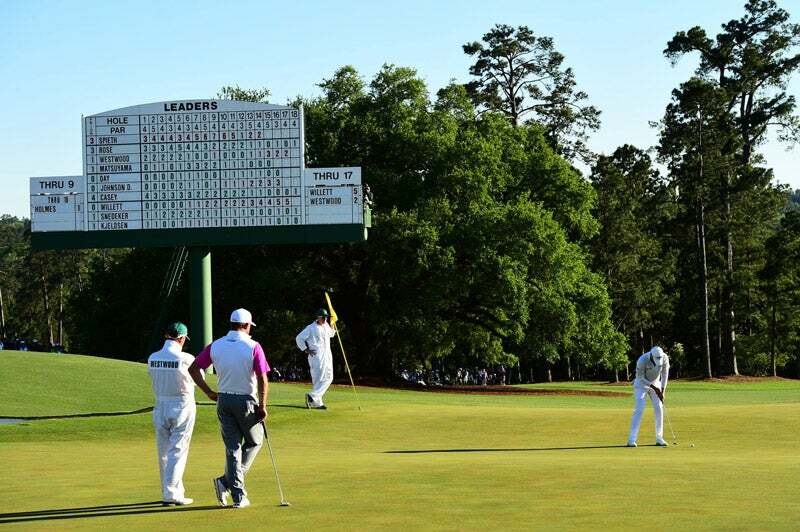 Bryson DeChambeau shot an even-par 72 on Friday. 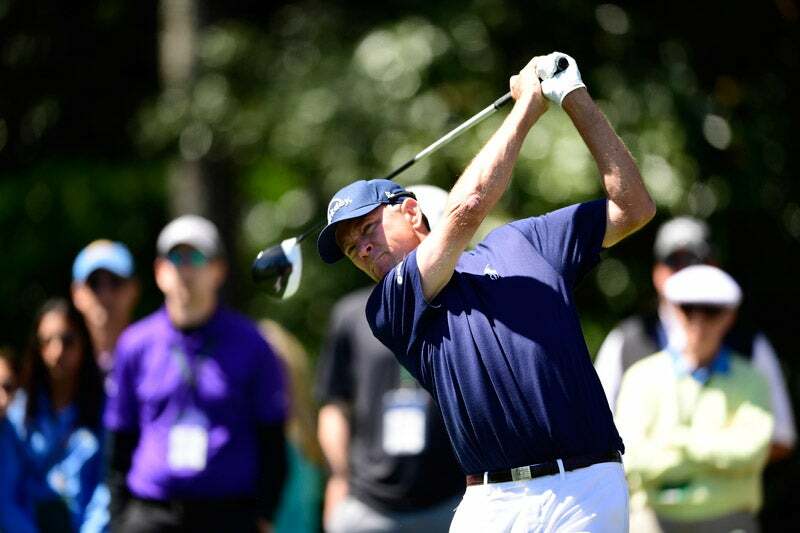 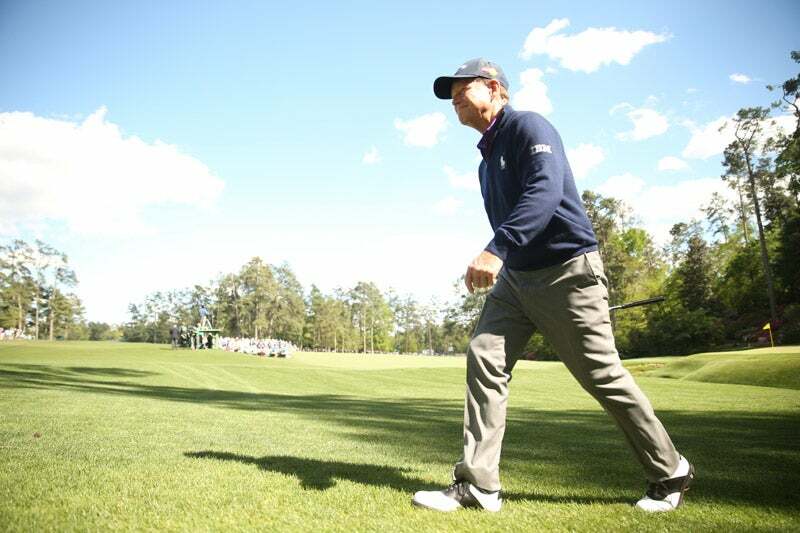 U.S. Ryder Cup captain Davis Love III made the weekend at Augusta this year. 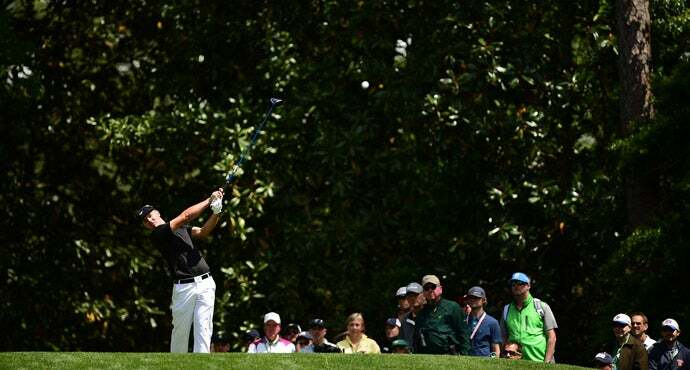 Scott Piercy hits his second shot on the second hole Saturday. 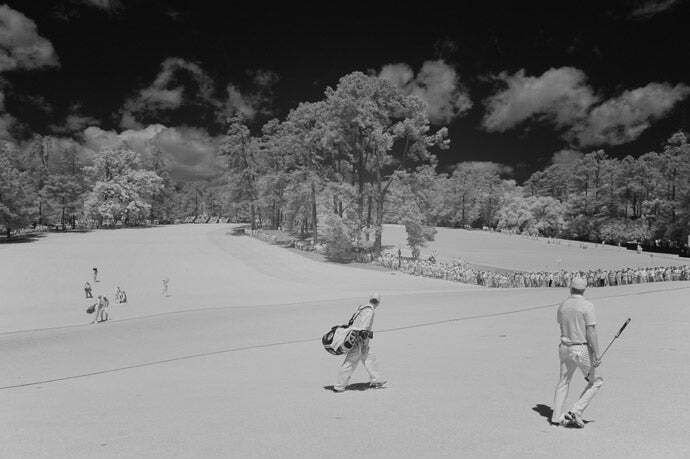 Danny Lee on the first hole. 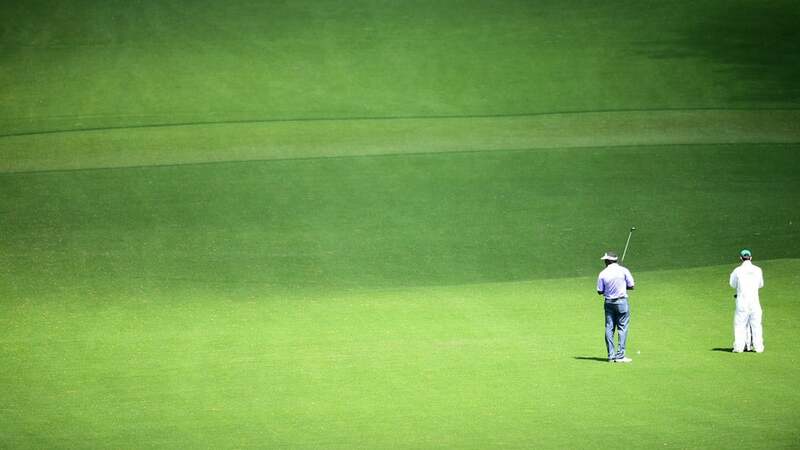 Brandt Snedeker waits to hit a shot during Saturday's third round. 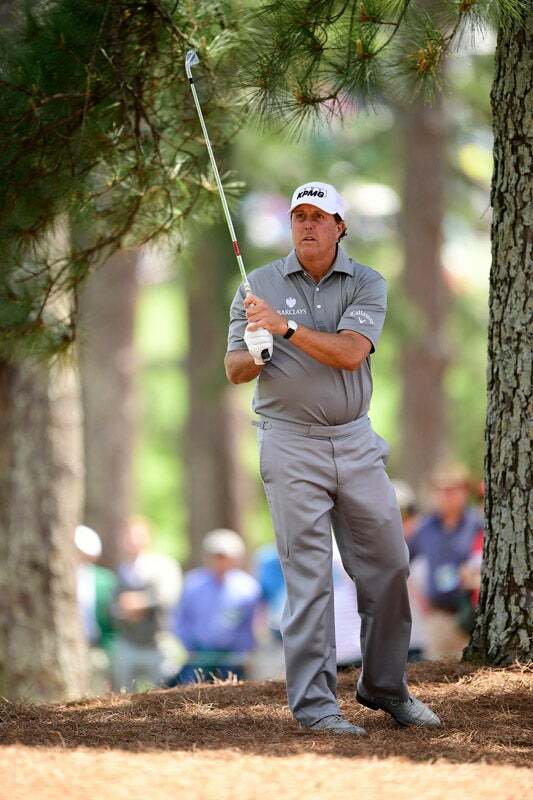 Phil Mickelson shot a 79 in round 2 and will miss the cut. 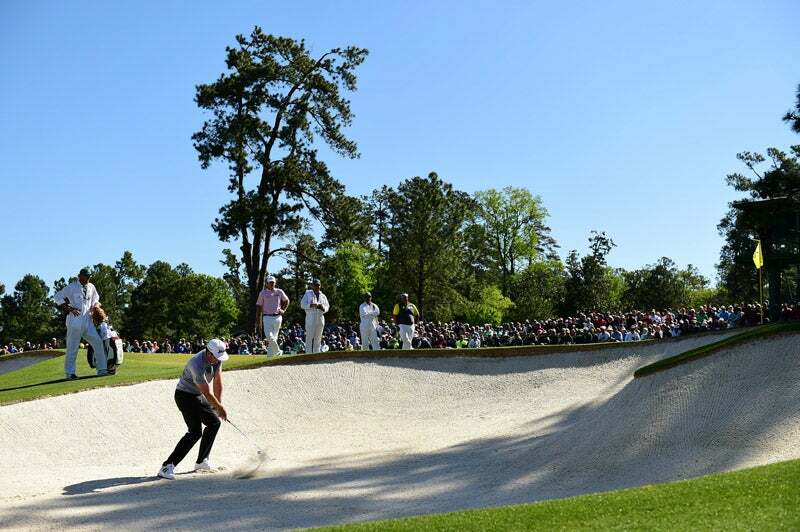 DeChambeau hits out of a bunker on the second hole. 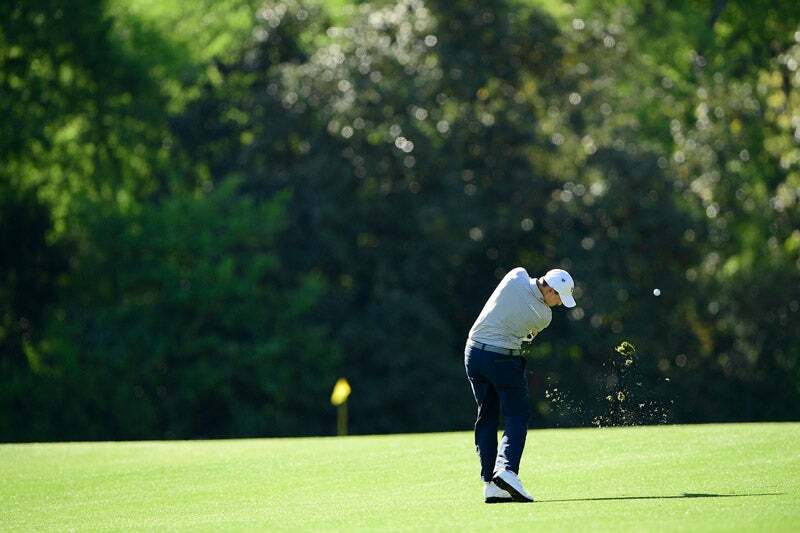 Jordan Spieth had a tough time with the wind on Friday but still holds a one-shot lead heading to the weekend. 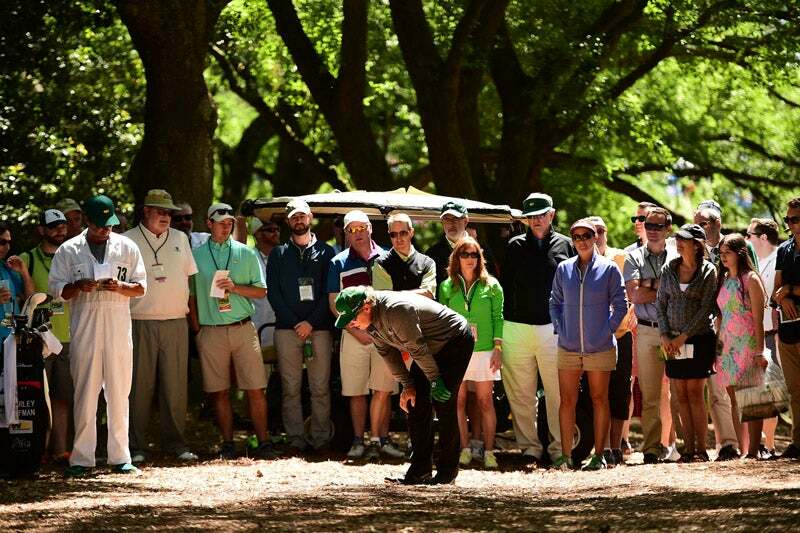 Charley Hoffman before his second shot on the first hole in round 2. 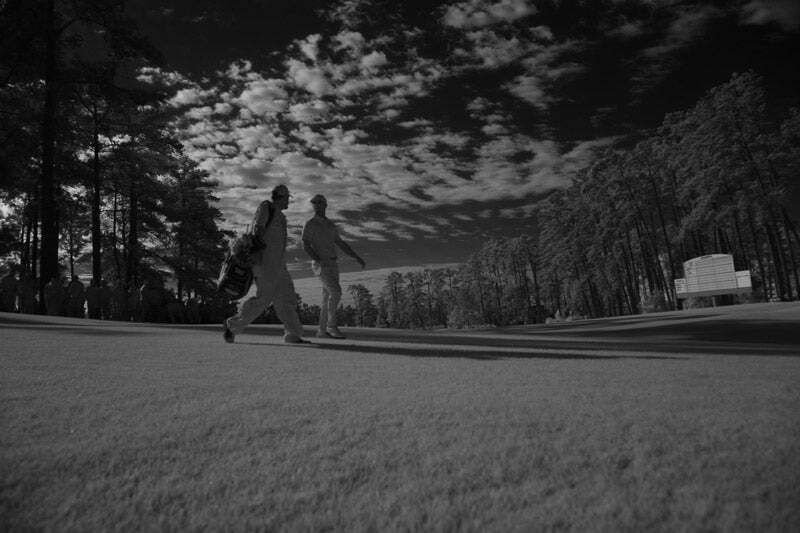 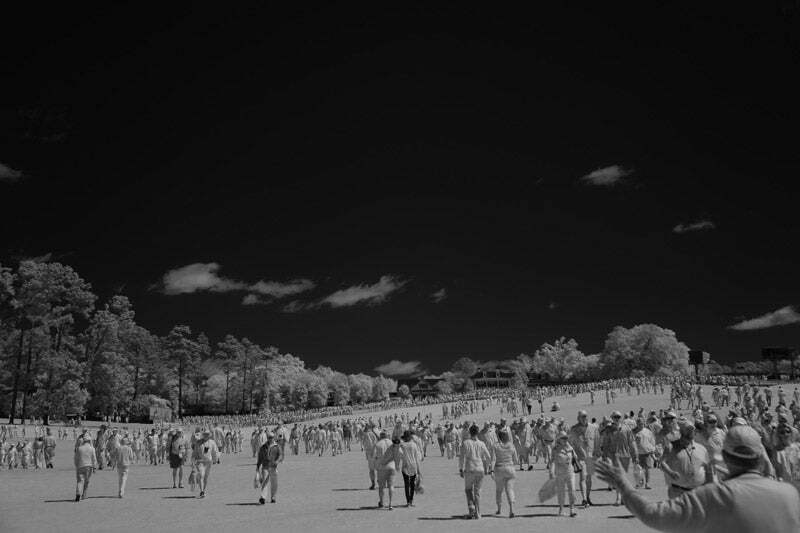 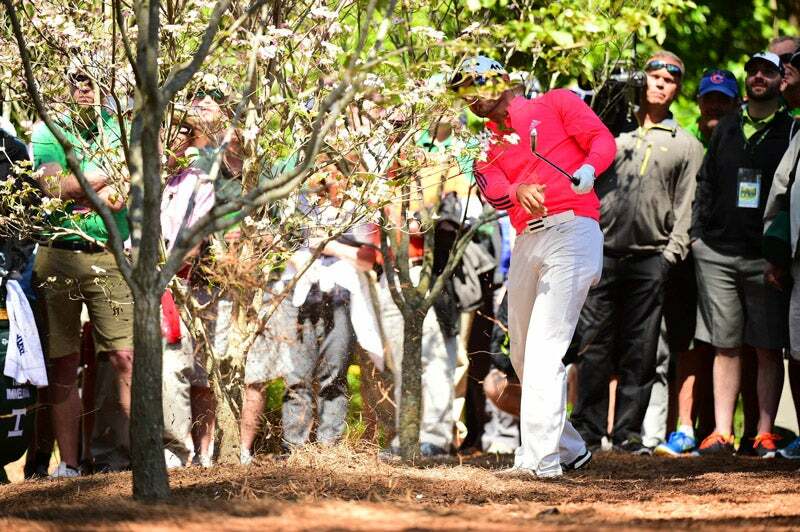 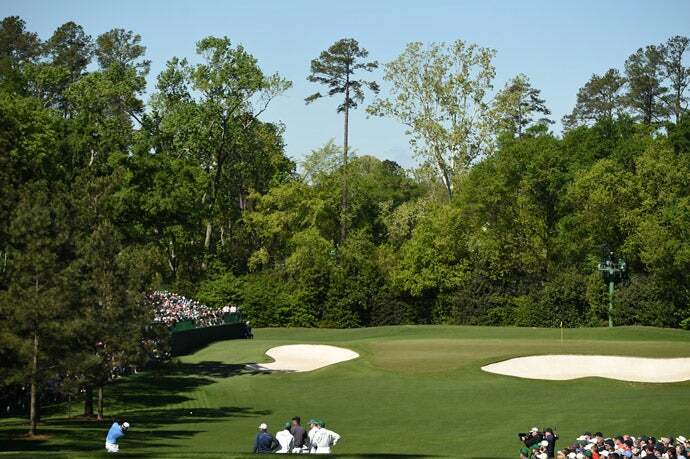 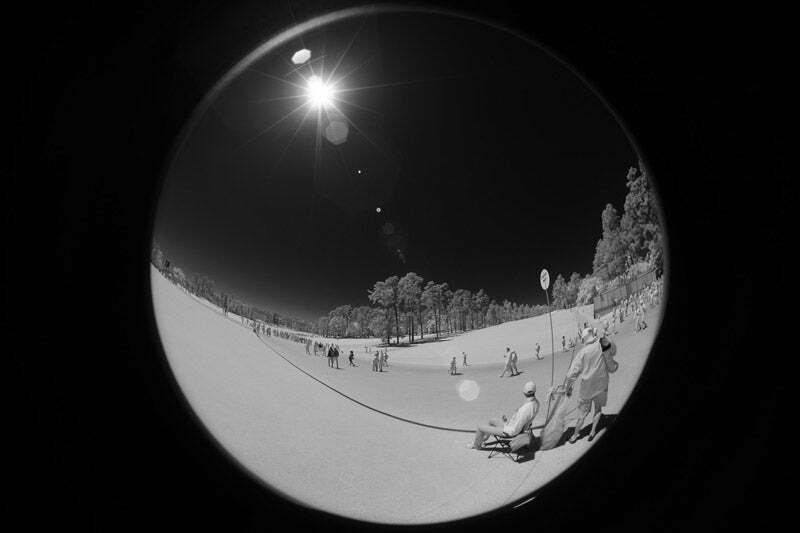 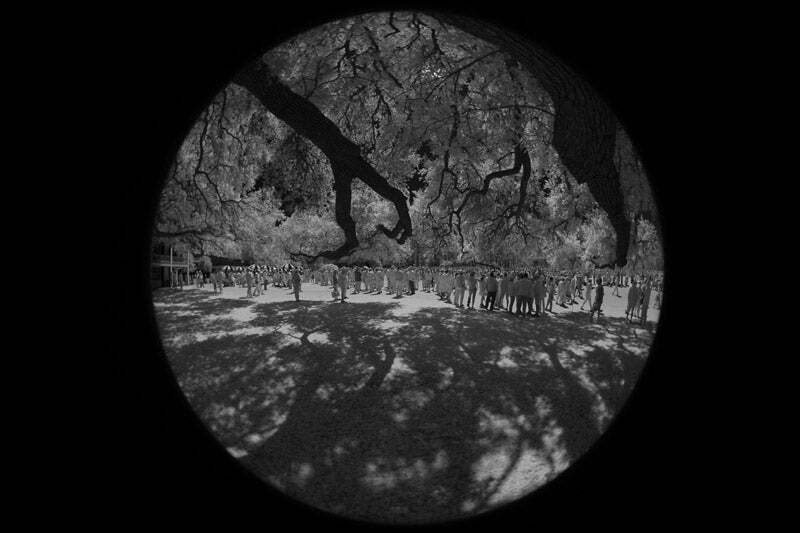 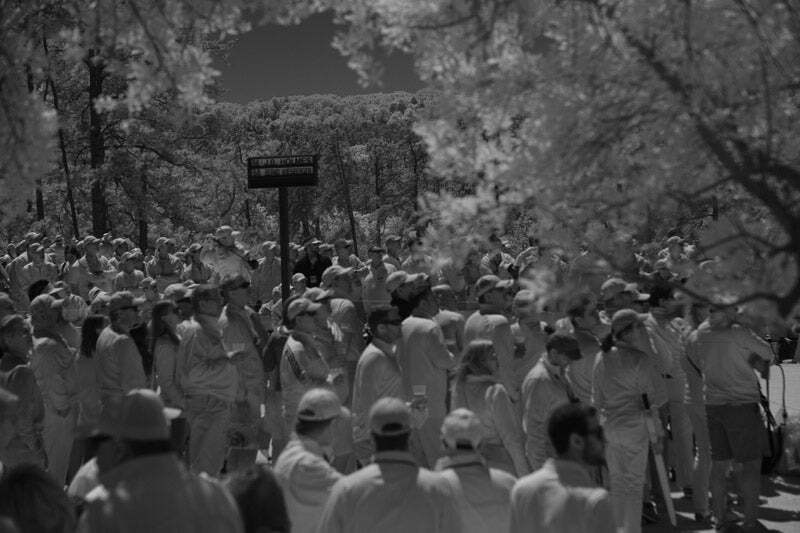 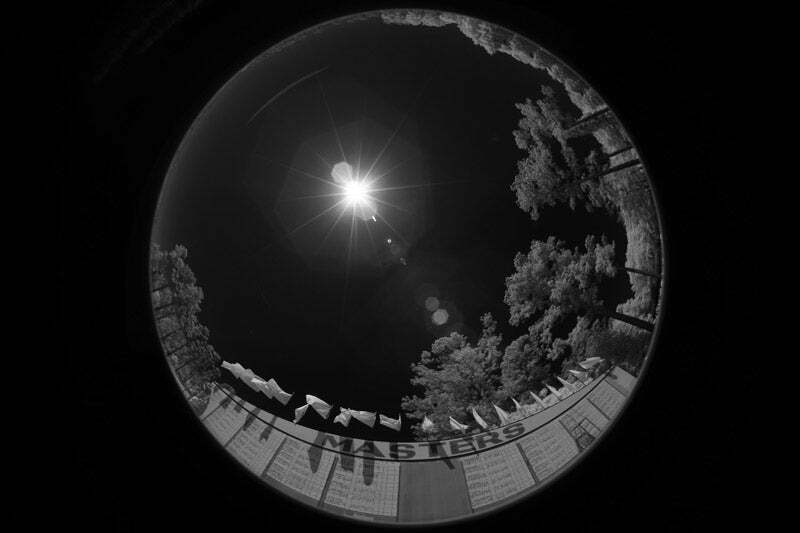 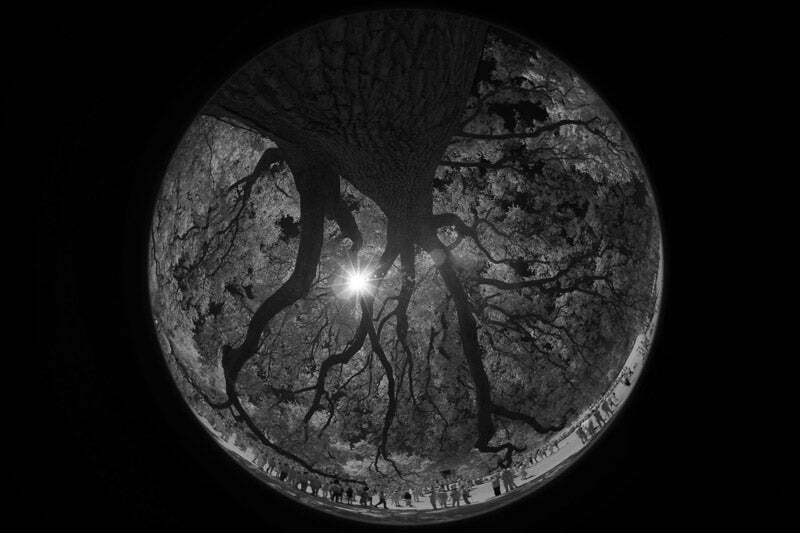 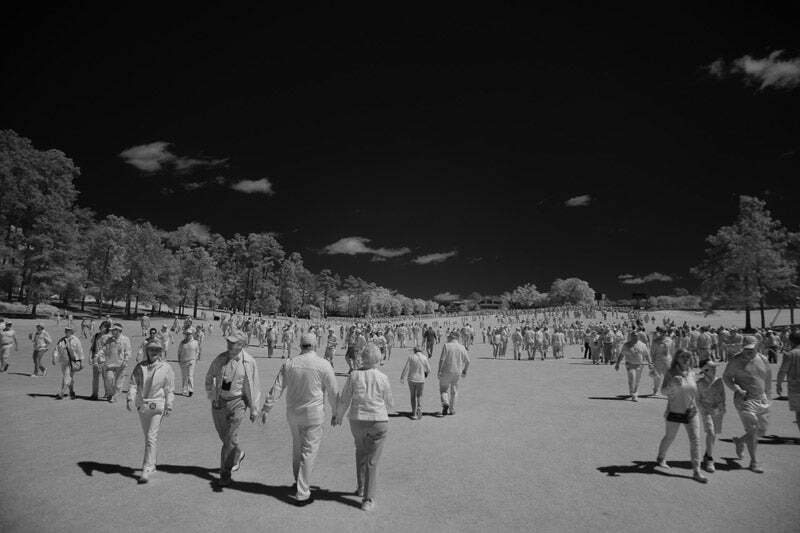 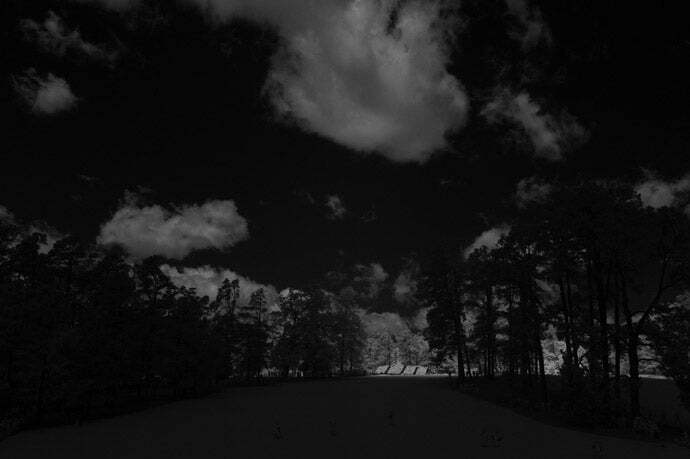 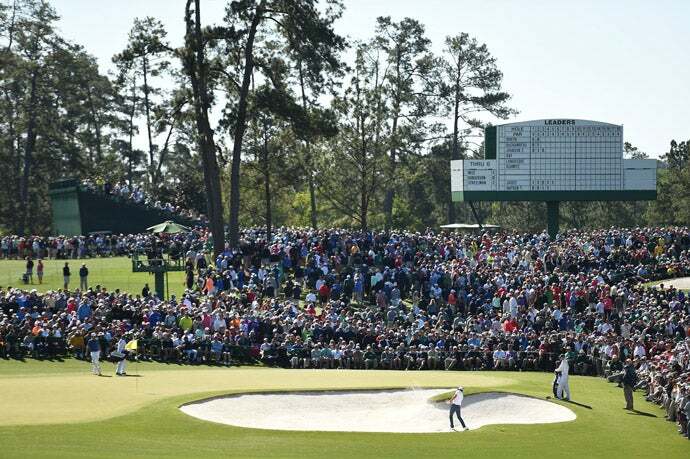 SI photographer Robert Beck took some scenic photos with an infrared lens Saturday at Augusta National. 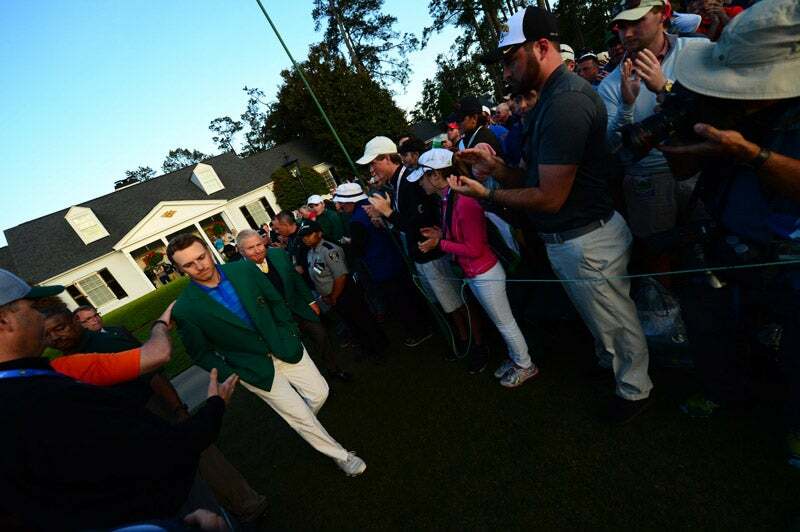 Tom Watson bid farewell to Augusta after finishing the final Masters round of his career on Friday. 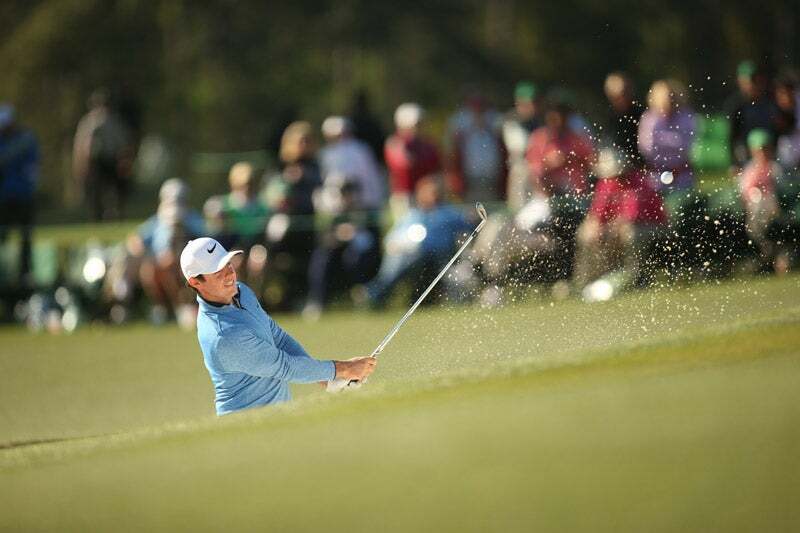 Keegan Bradley tries to escape a bunker during the second round. 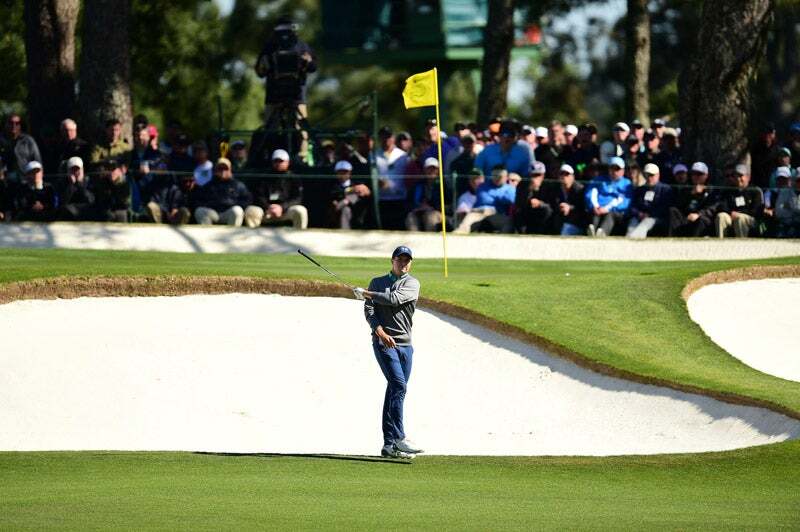 Jimmy Walker plays the second hole on Friday. 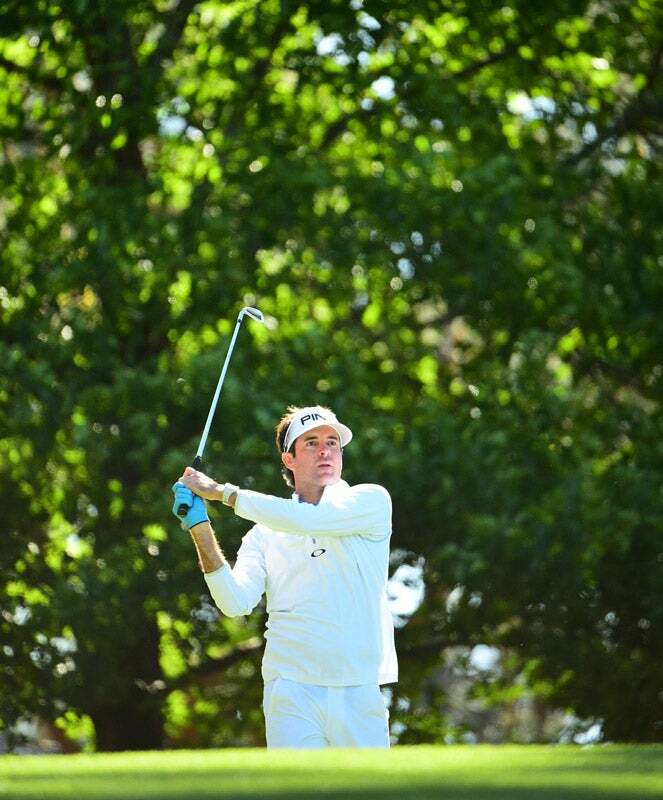 Bubba Watson struggled again in round 2 and will miss the cut. 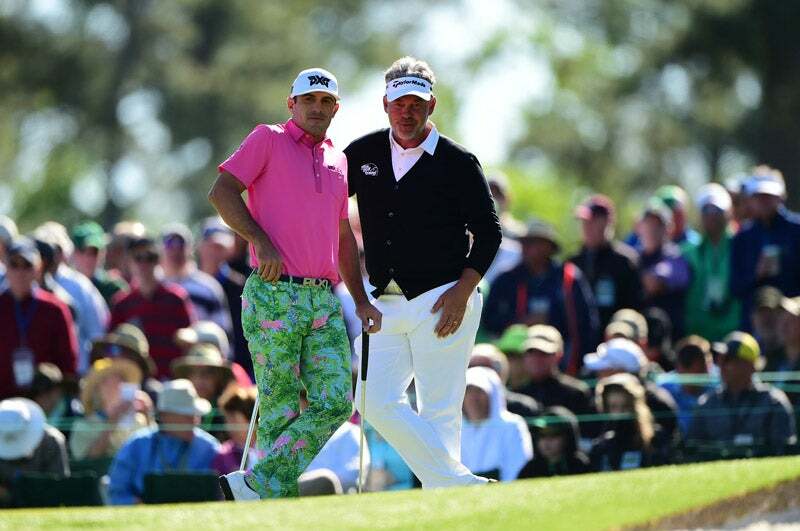 Billy Horschel, left, wore some colorful pants on Friday. 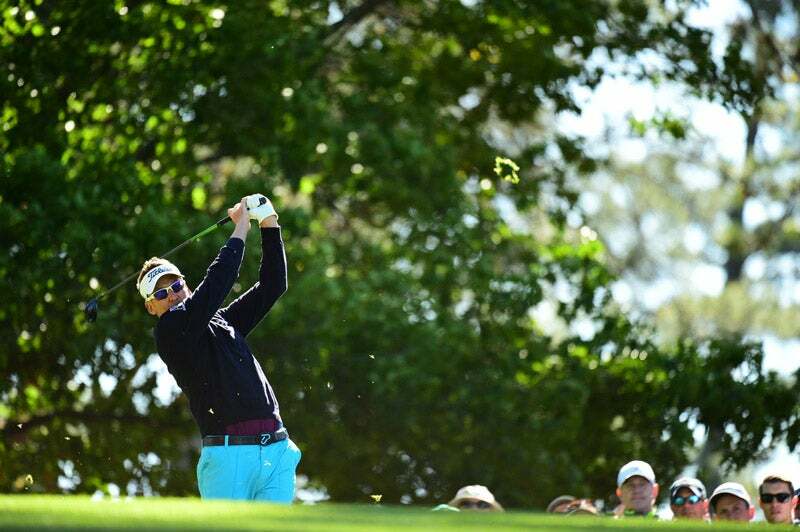 Ian Poulter shot a six-over 78 in the second round. 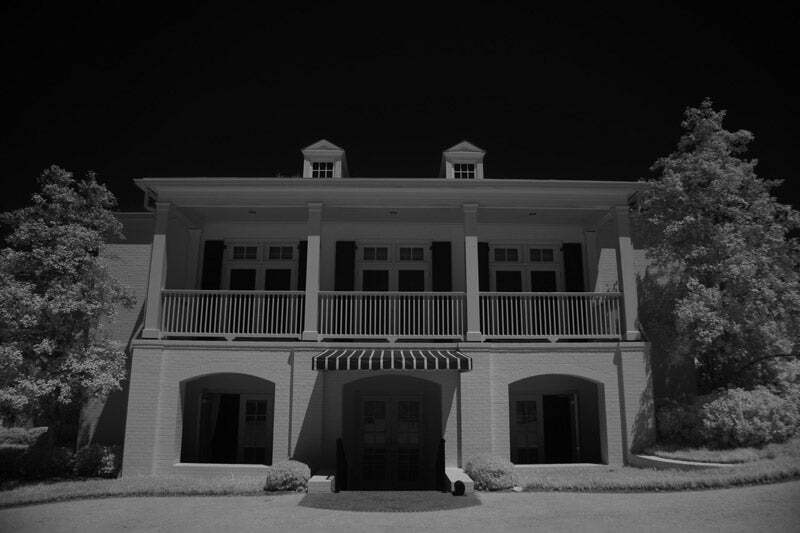 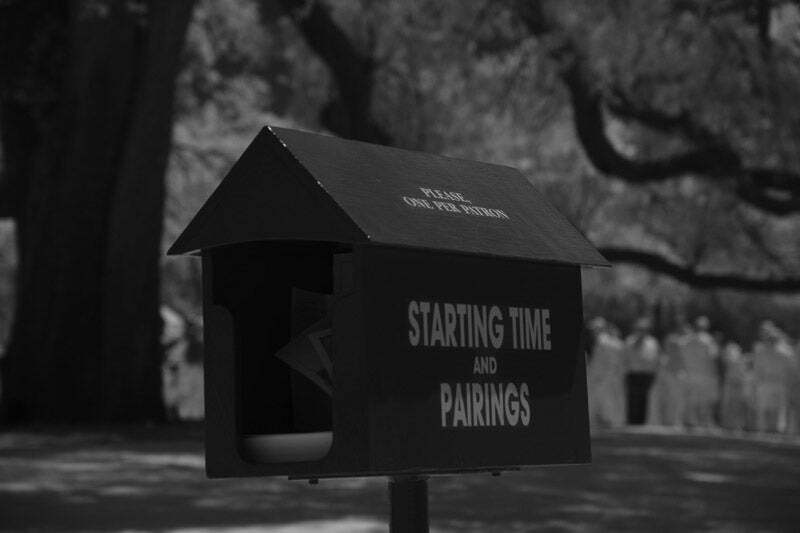 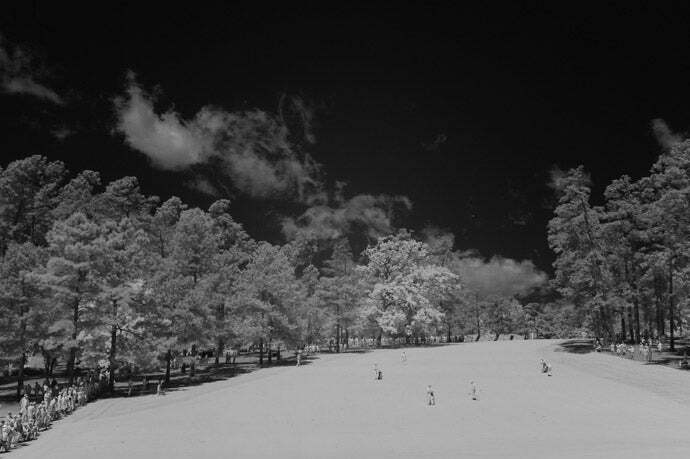 Photographer Robert Beck shot some scenic infrared photos on Friday. 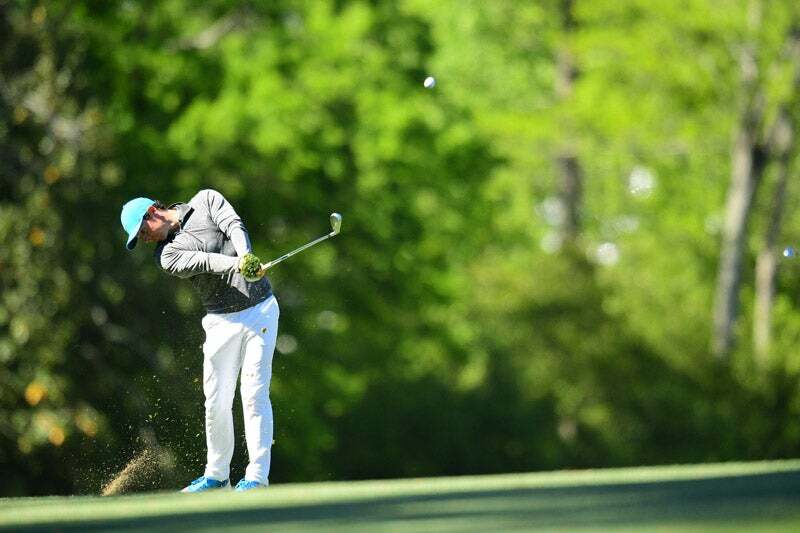 Trevor Immelman got into some trouble on the second hole in round 2. 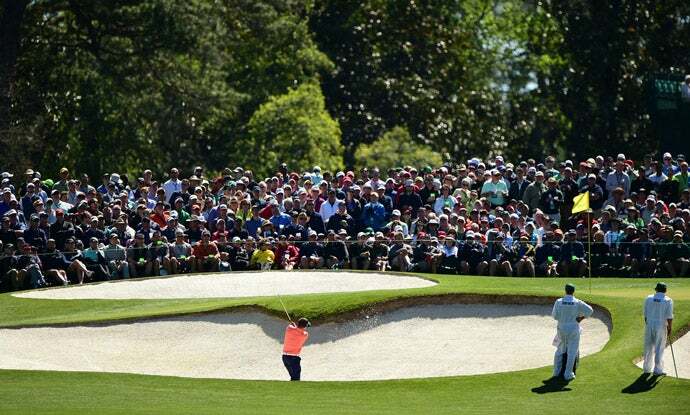 Matthew Fitzpatrick on the fifth hole. 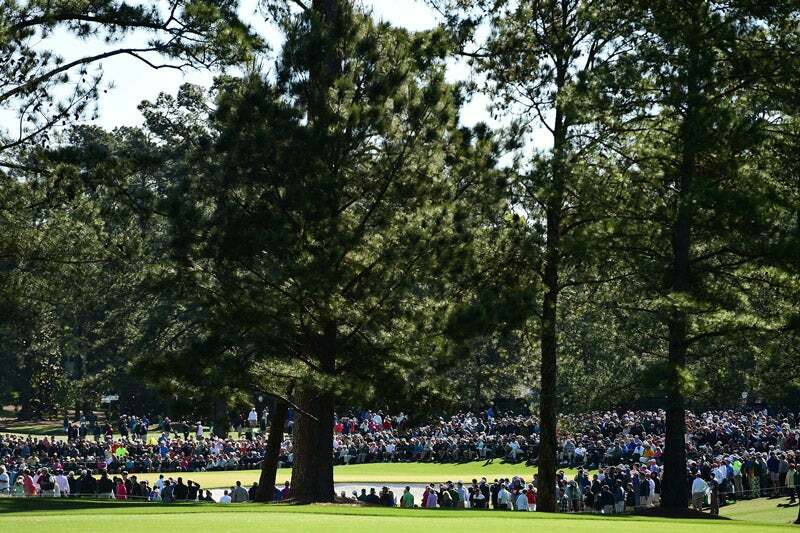 A scenic view of the course on Friday. 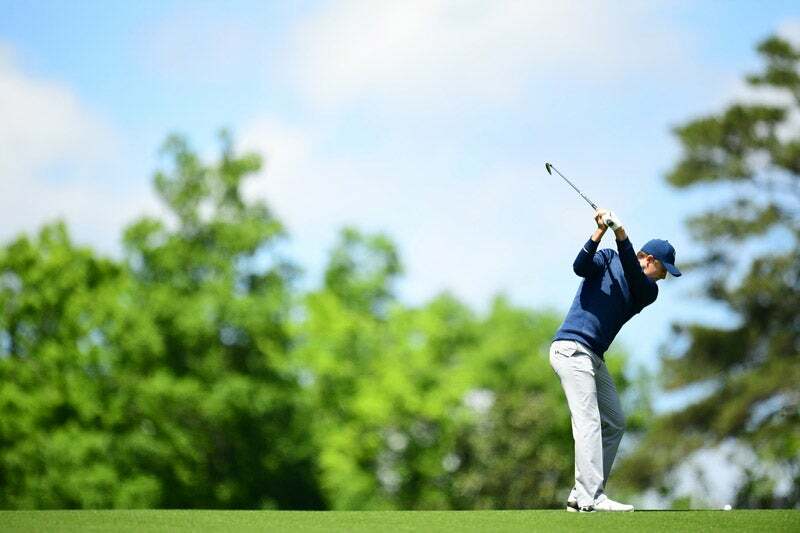 Defending champion Jordan Spieth picked up right where he left off last year in the first round at Augusta National. 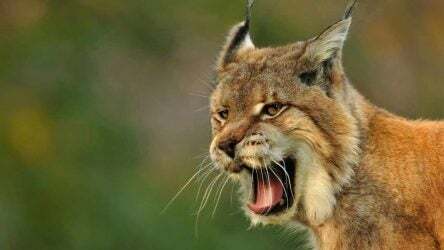 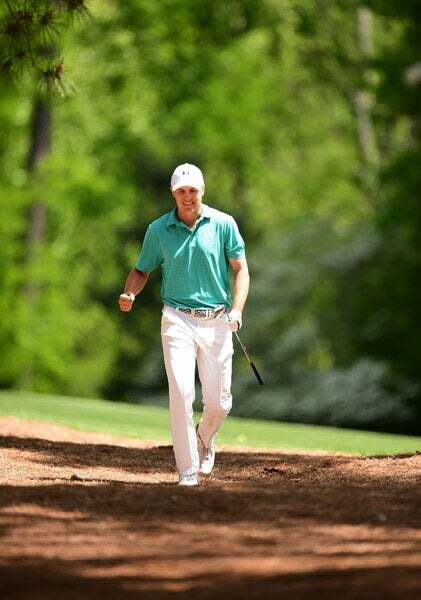 Spieth celebrates an escape shot from the pine straw. 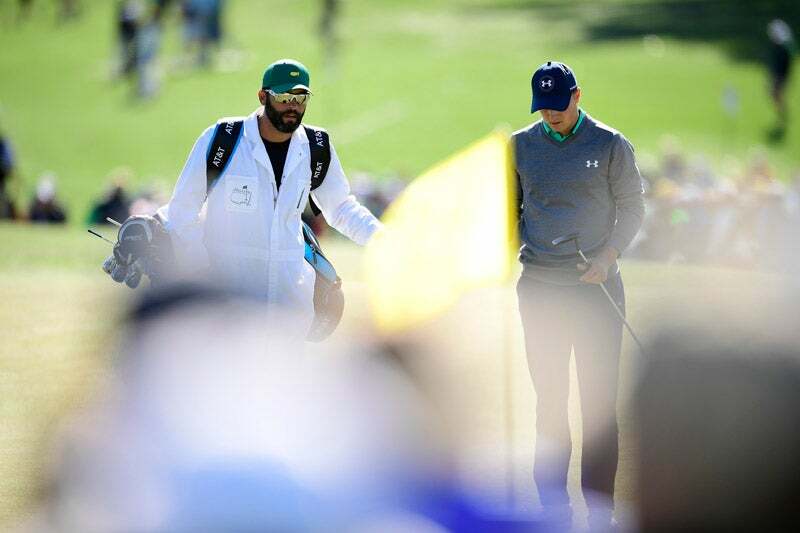 Spieth and caddie Michael Greller discuss a shot during round 1. 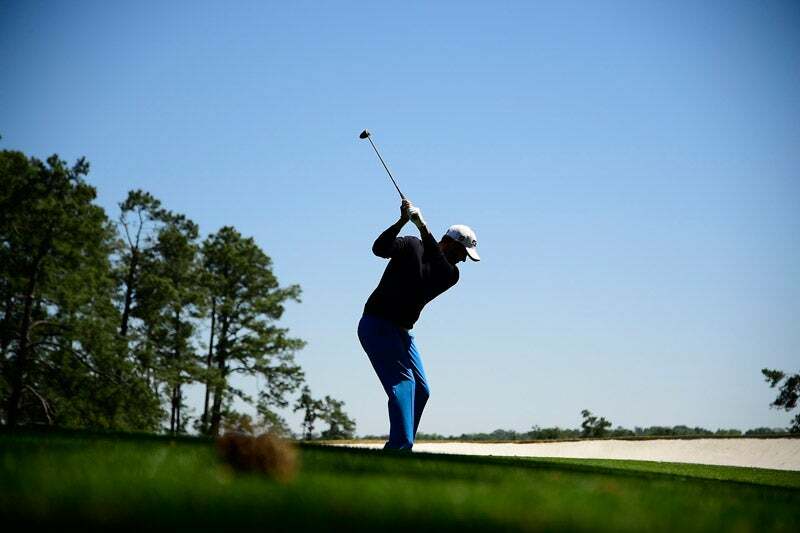 Star amateur Bryson DeChambeau on Thursday. 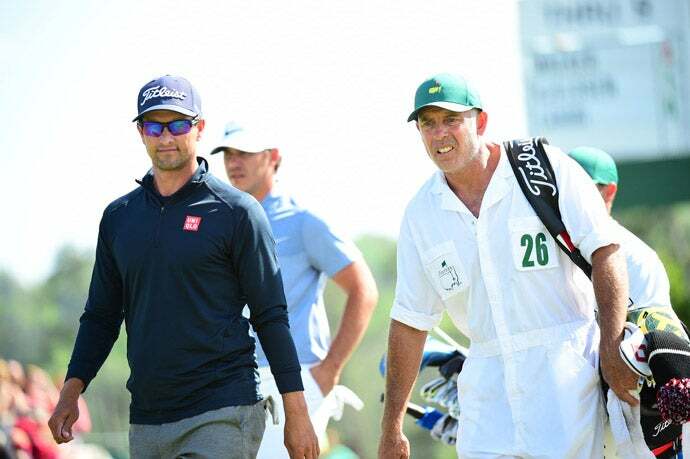 Adam Scott with caddie Steve Williams. 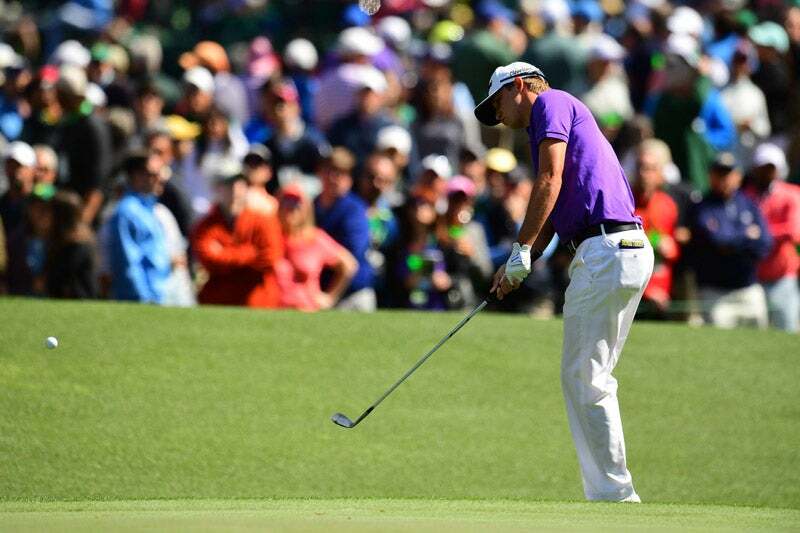 Scott didn't fare well, shooting a 76. 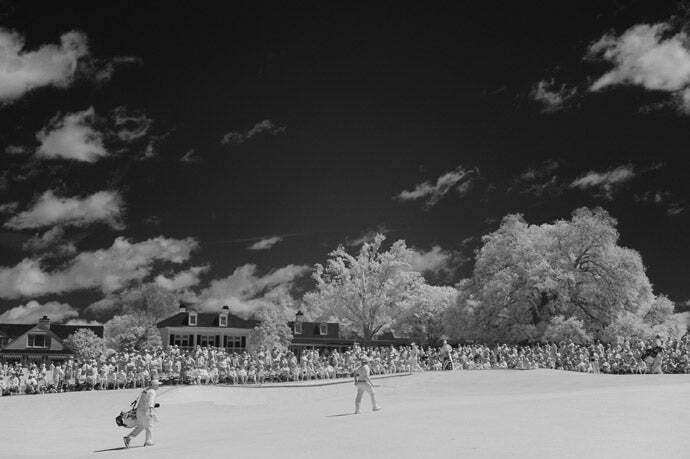 DeChambeau on the 10th tee. 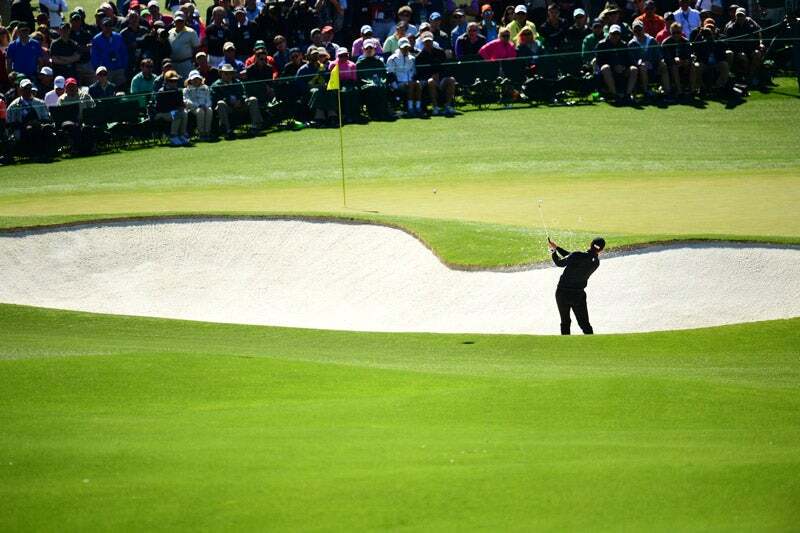 Jason Dufner hits out of a greenside bunker on Thursday. 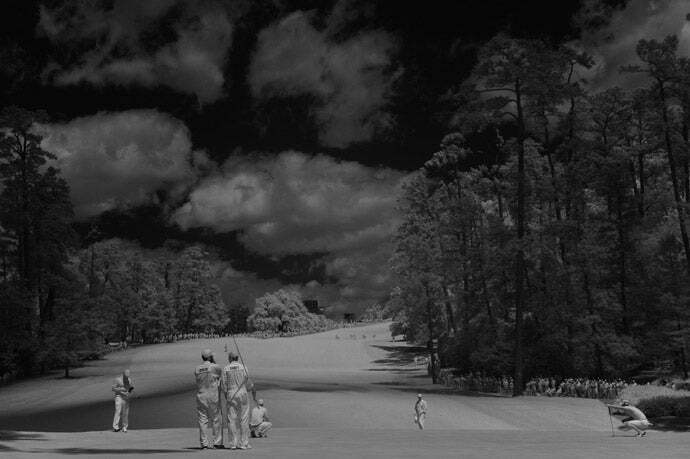 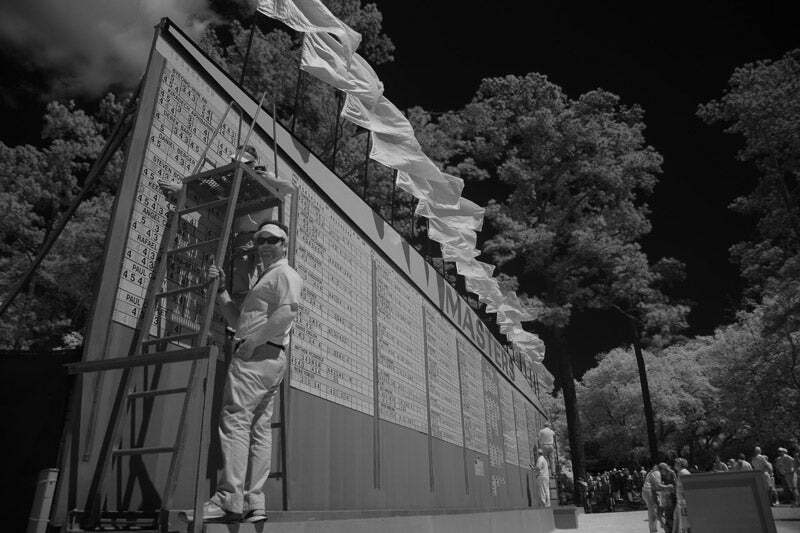 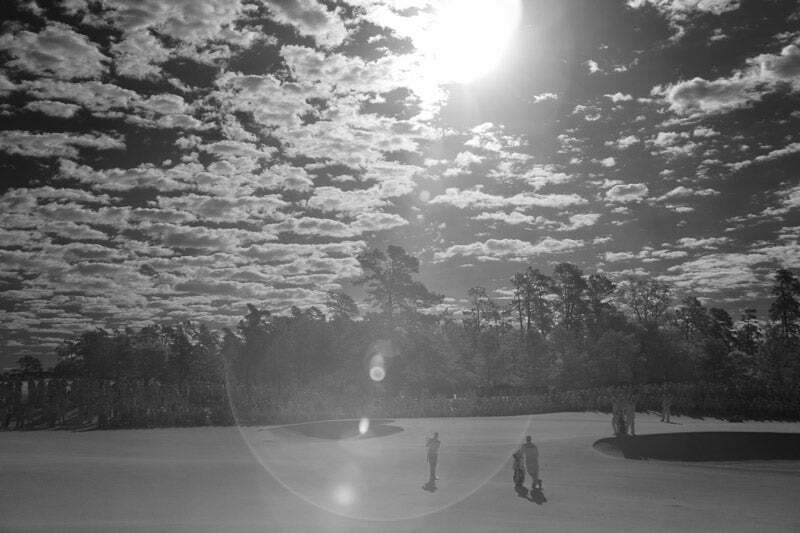 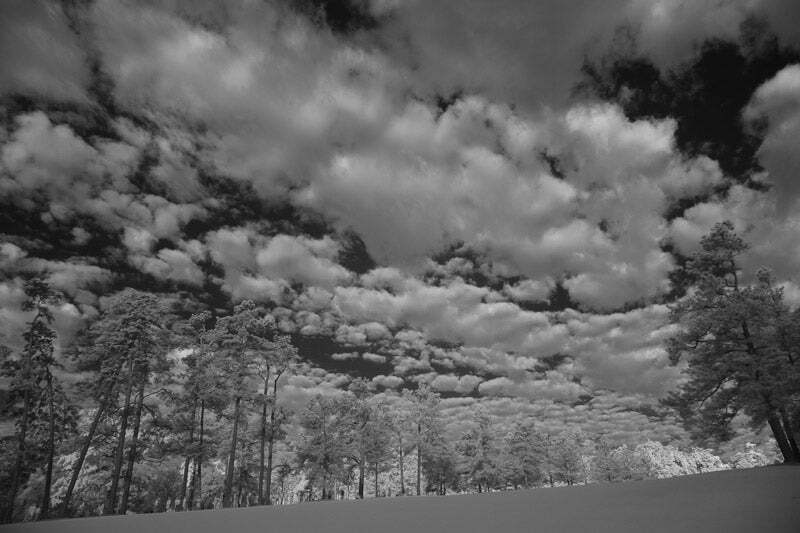 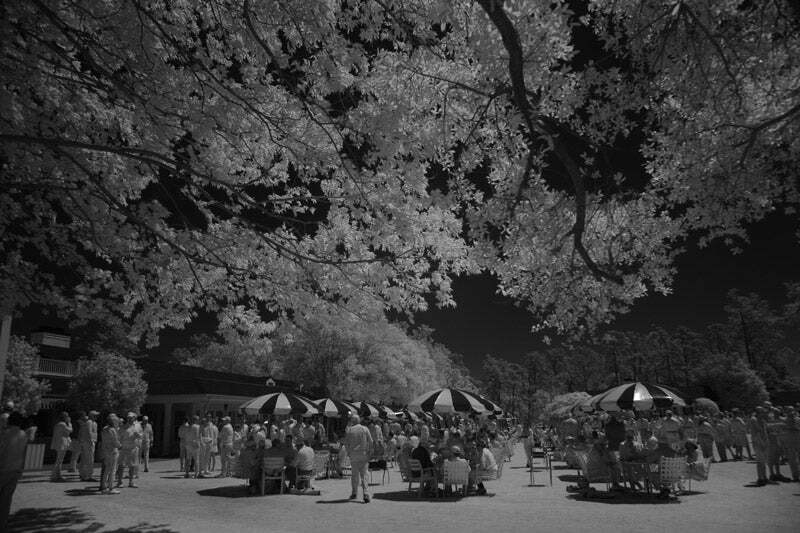 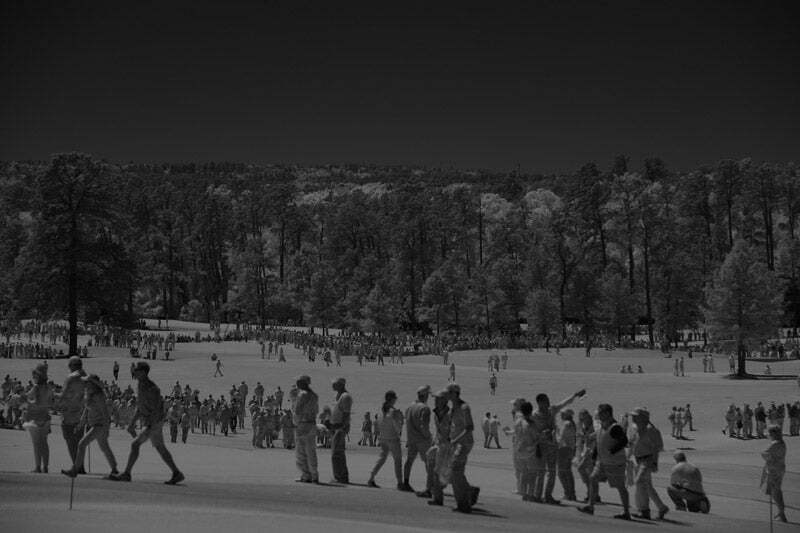 Photographer Robert Beck took some beautiful infrared photos on Thursday at Augusta. 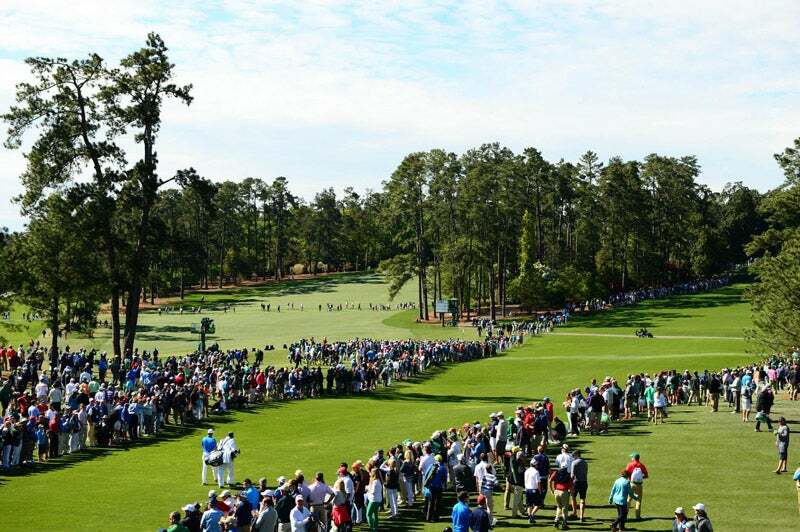 The group of Paul Casey, Jordan Spieth, and Bryson DeChambeau on Thursday. 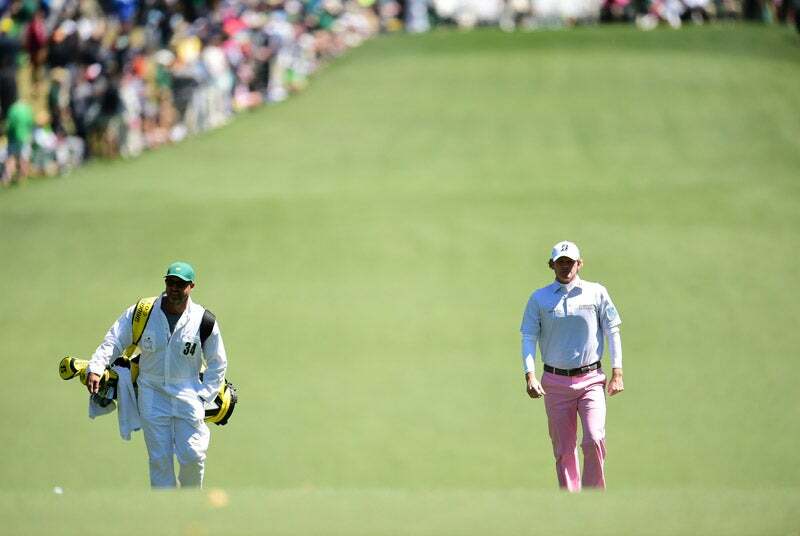 Louis Oosthuizen walks up to the 9th green. 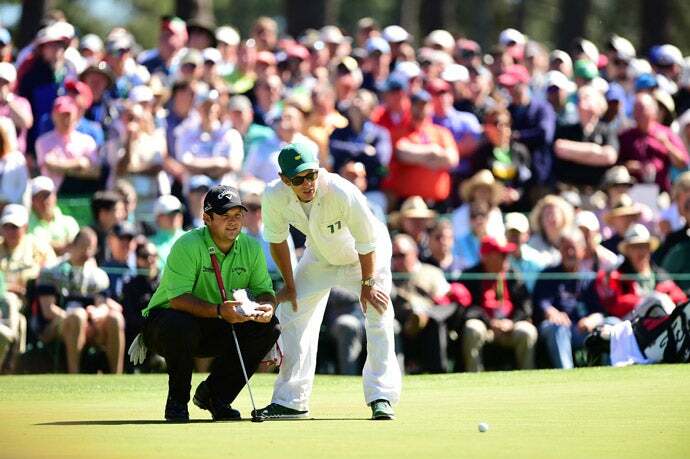 Patrick Reed and his caddie read a putt on the sixth green. 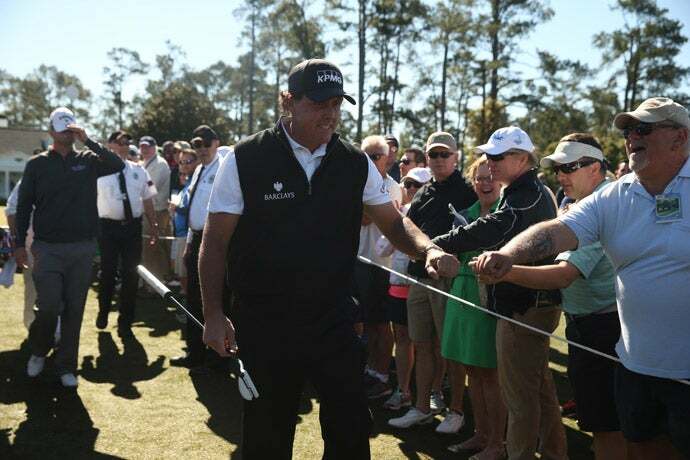 Phil Mickelson greets patrons as he walks to the first tee to start round 1. 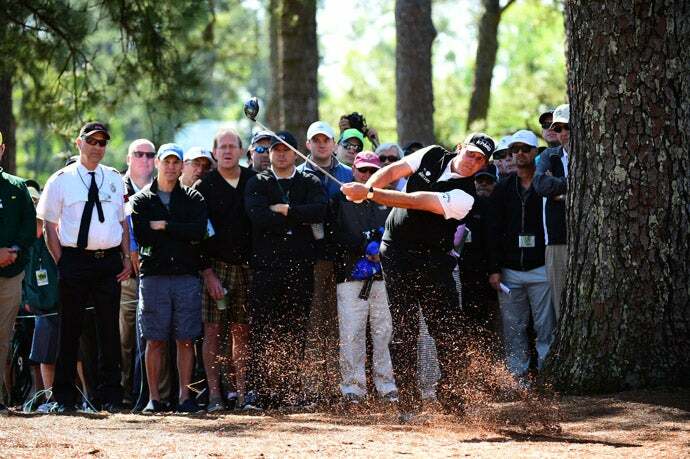 Mickelson hits out of the pine straw. 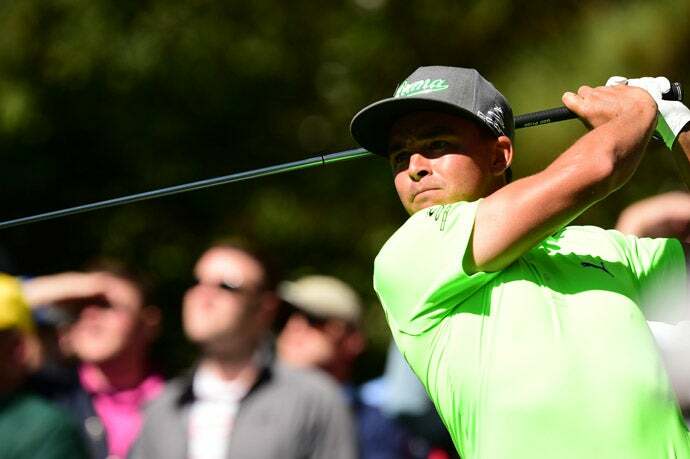 Rickie Fowler struggled mightily in the opening round. 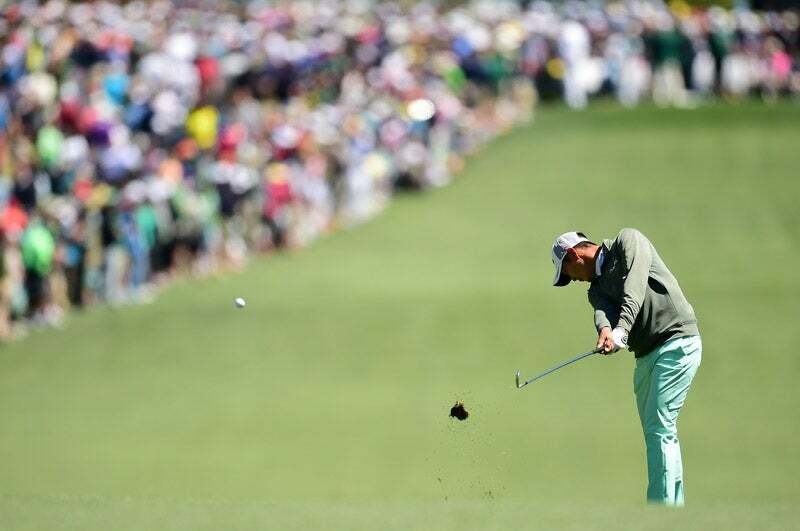 Justin Thomas chips near the 7th green. 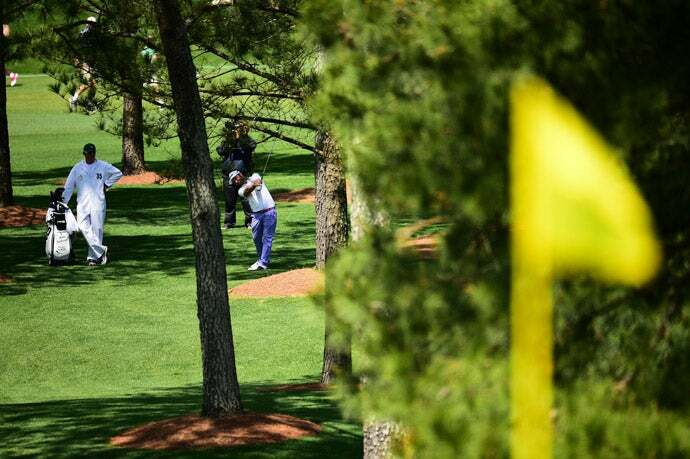 Andy Sullivan hits through the trees out of the rough on the 7th. 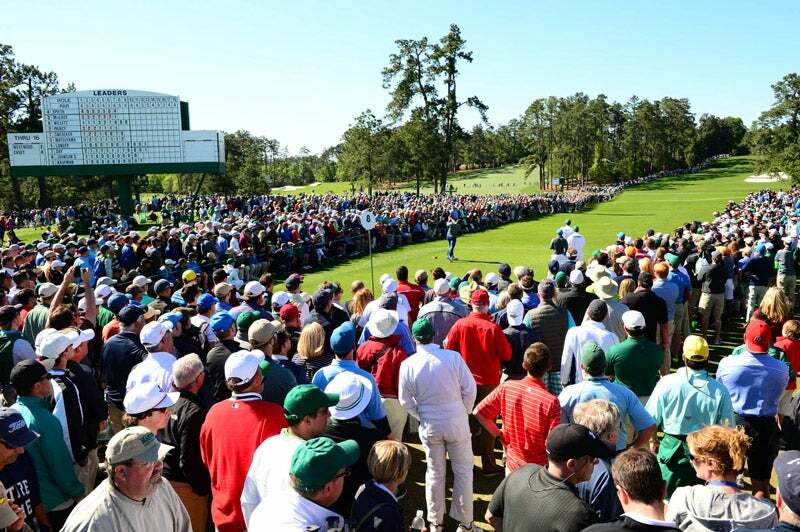 Large crowds watch Dustin Johnson play the 2nd hole. 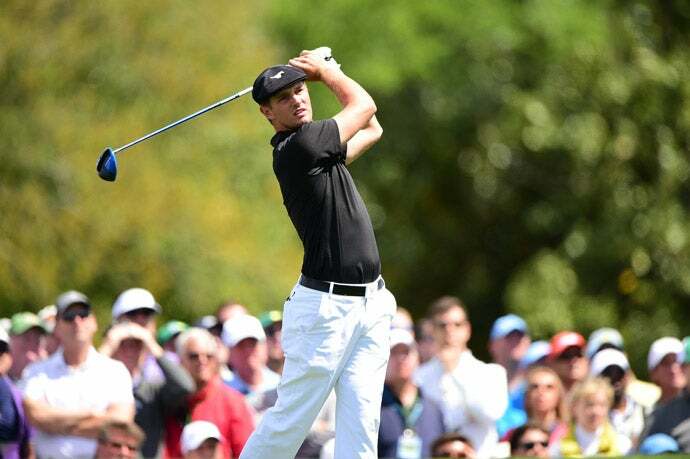 Paul Casey had a strong opening round and was near the top of the leaderboard by the end of the day. 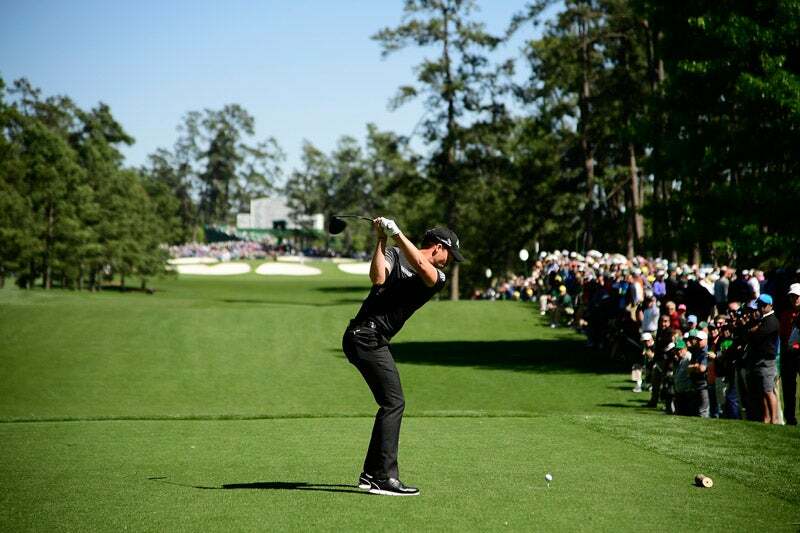 Casey tees off on the 4th hole. 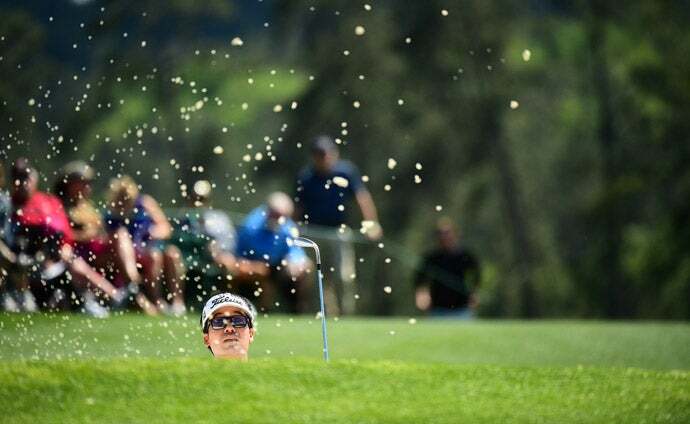 Kevin Na hits out of a bunker during the first round. 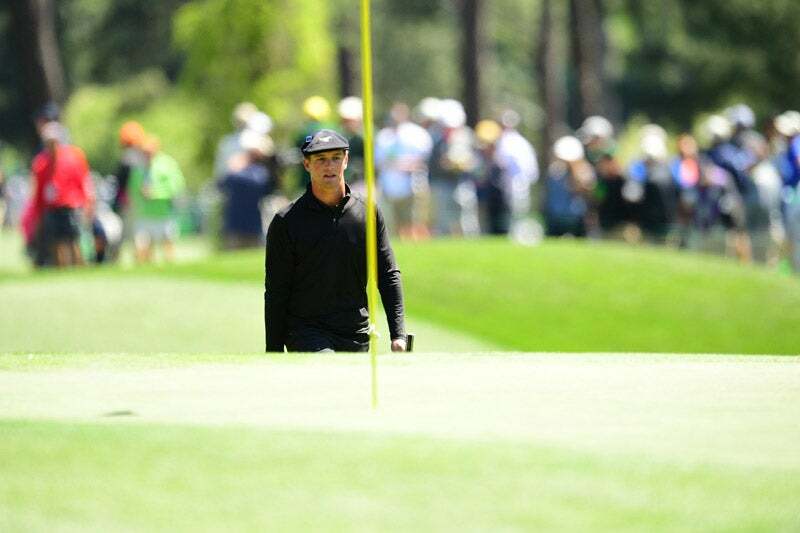 Henrik Stenson, pictured here, is one of the favorites this week. 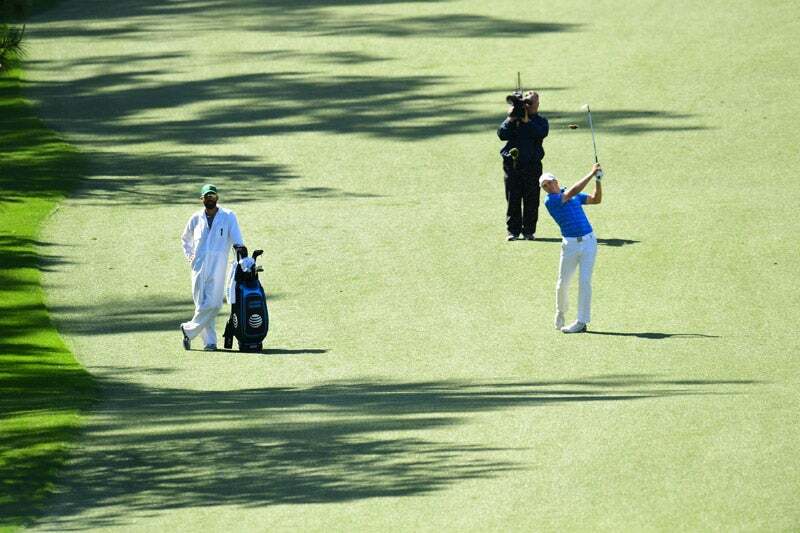 Former Masters champion Vijay Singh stands in one of Augusta's vast fairways. 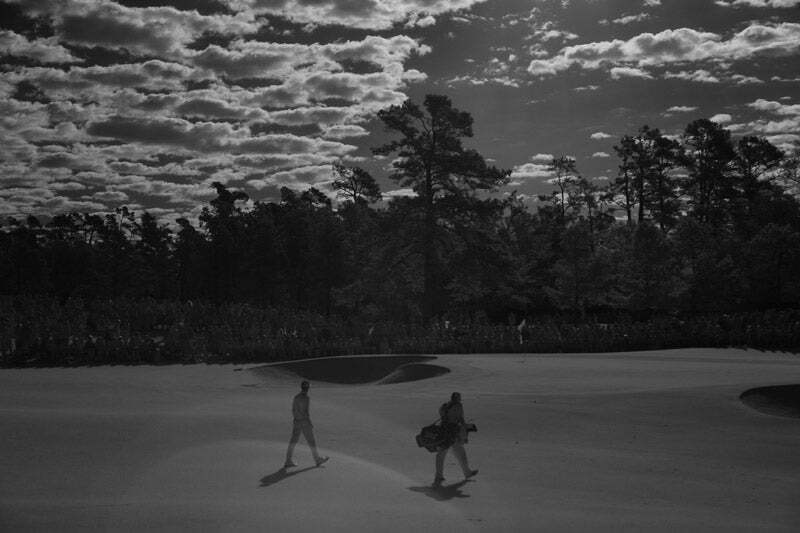 Bryson DeChambeau hits a shot on the 9th while Jordan Spieth looks on.